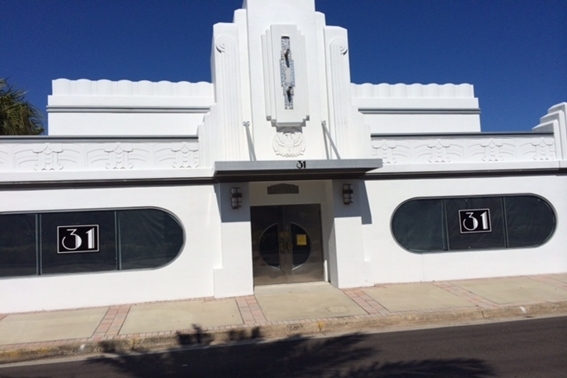 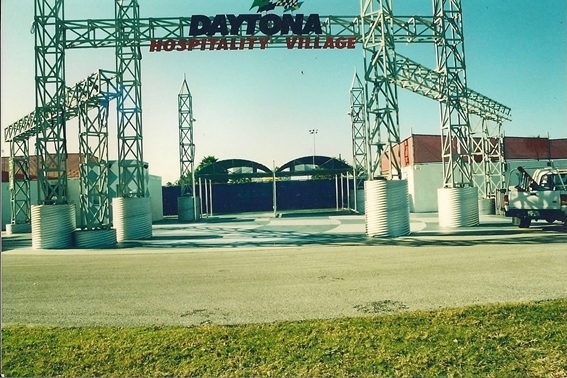 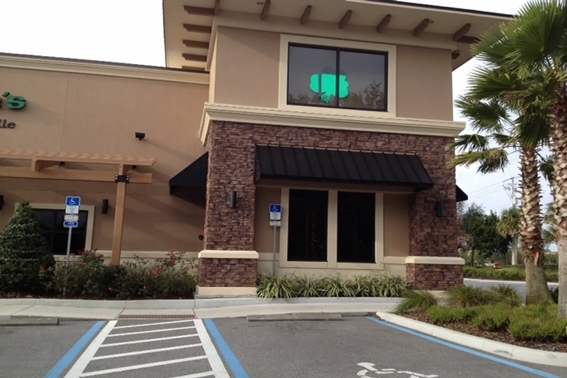 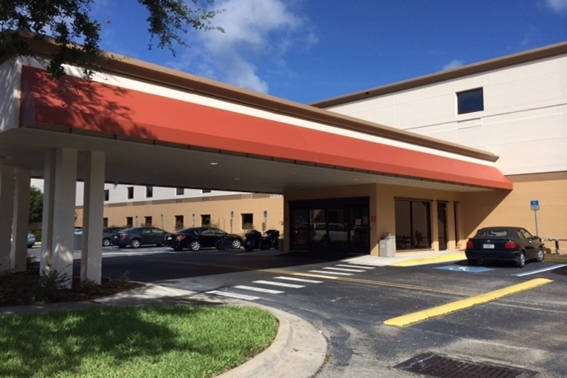 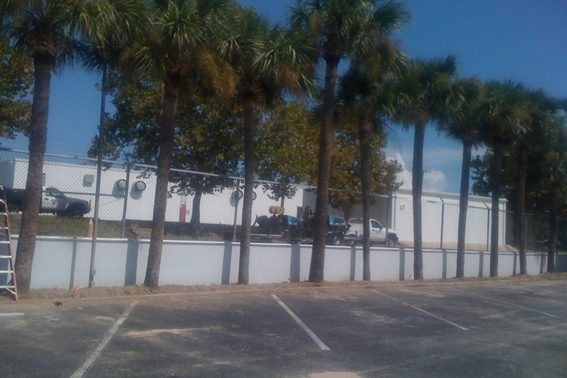 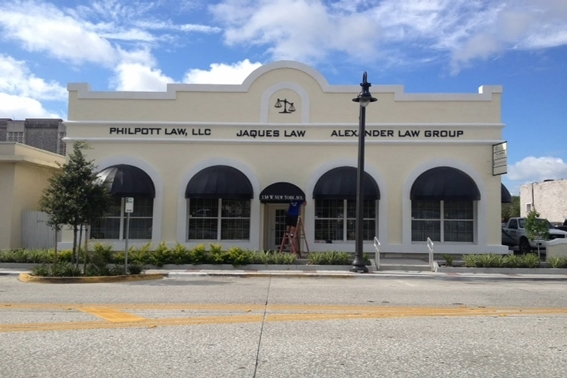 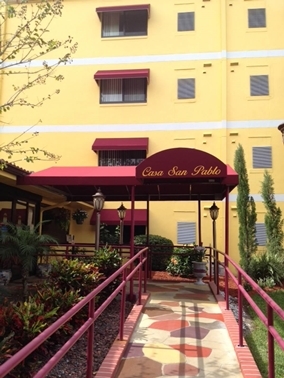 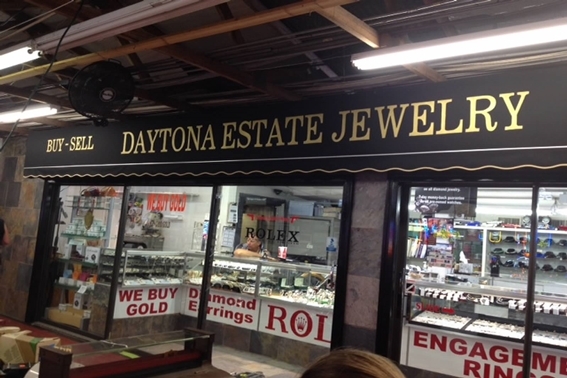 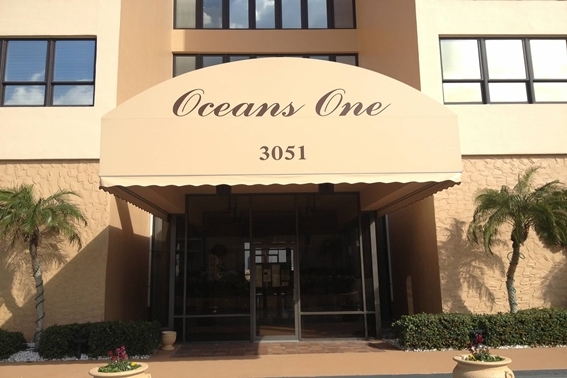 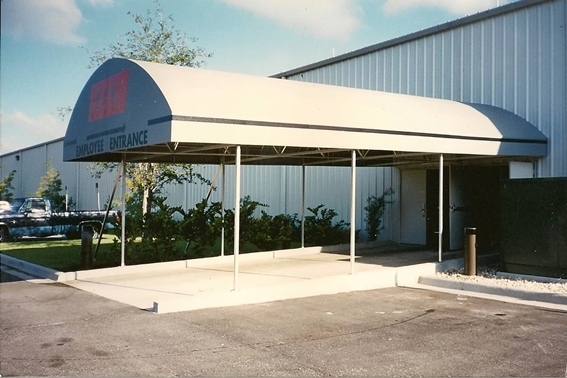 In that time, we've developed a company philosophy that has helped us build a reputation for excellence in the Central Florida area. 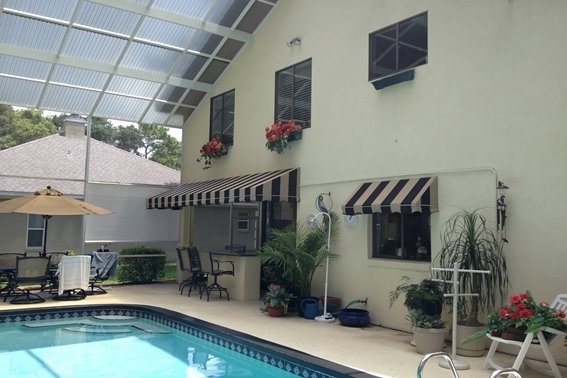 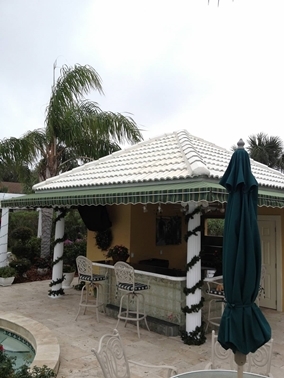 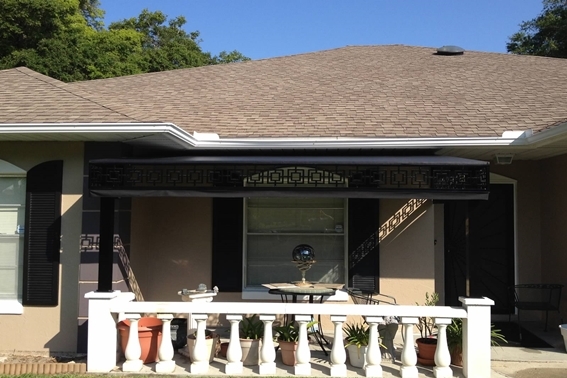 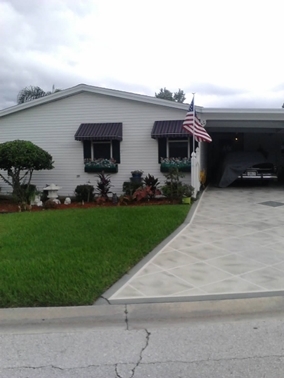 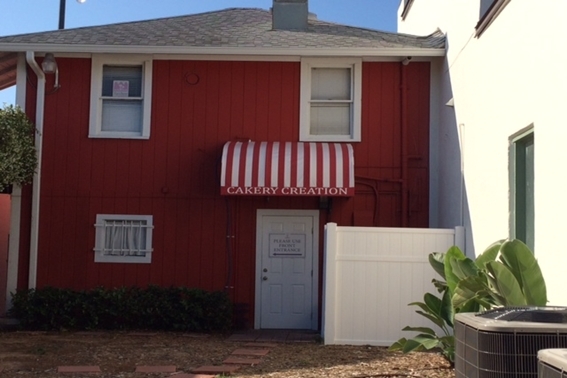 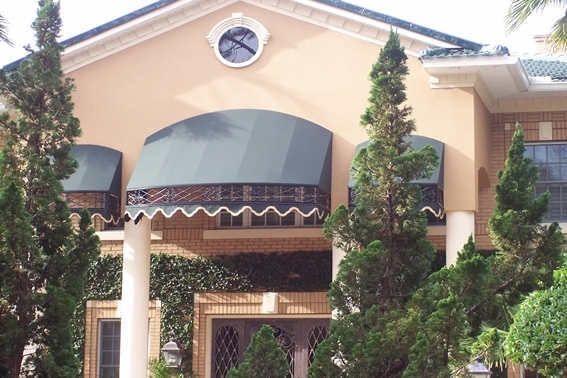 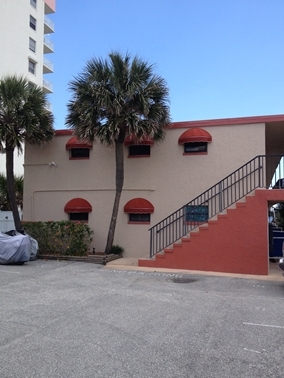 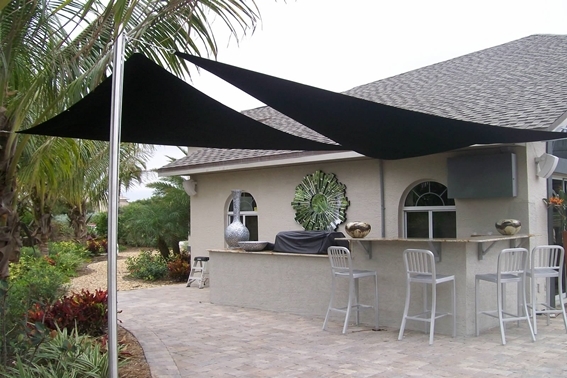 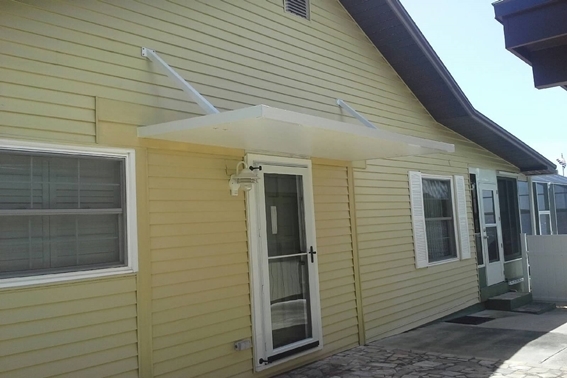 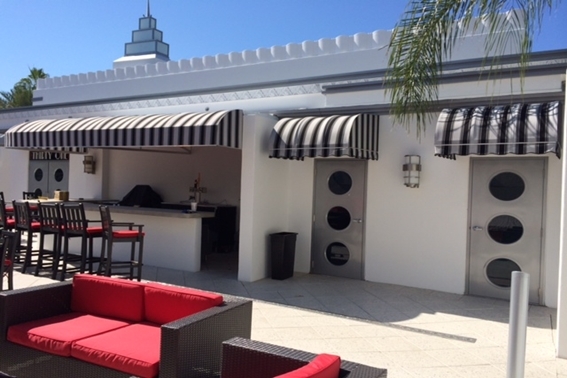 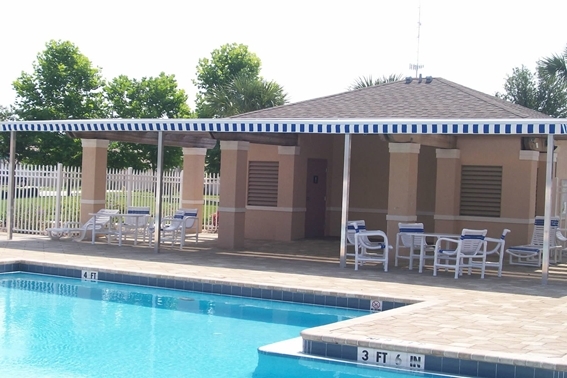 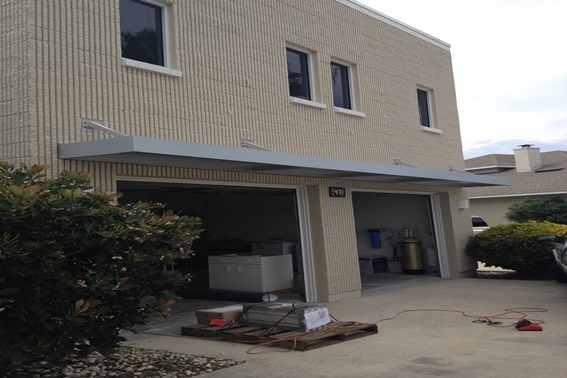 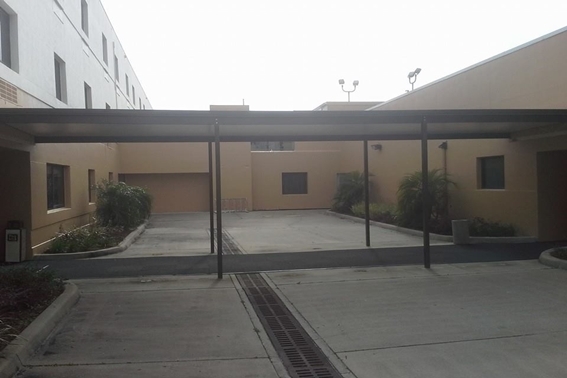 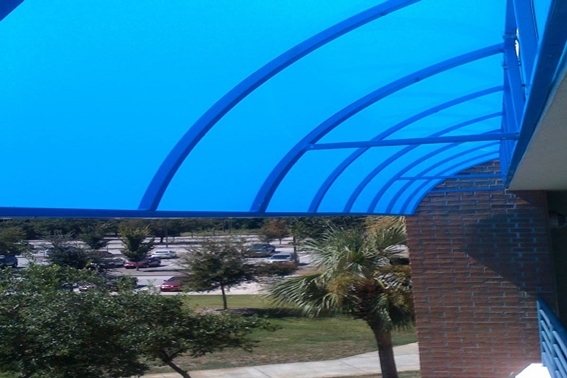 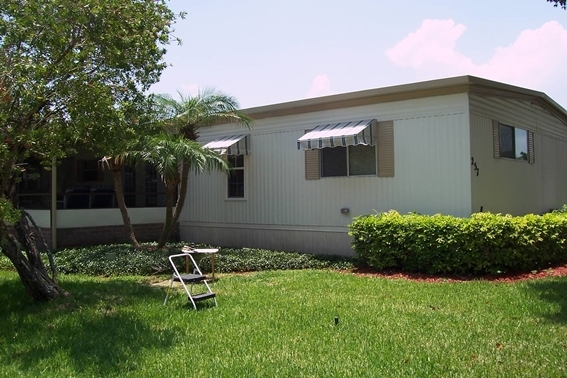 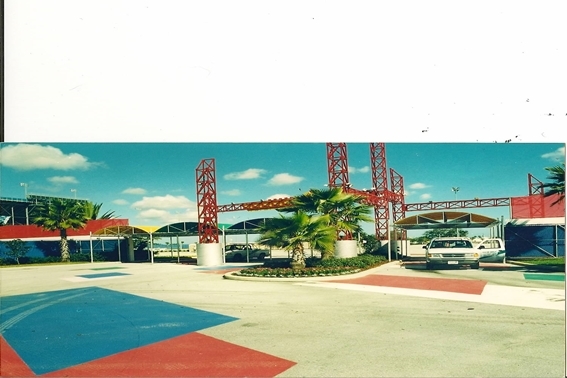 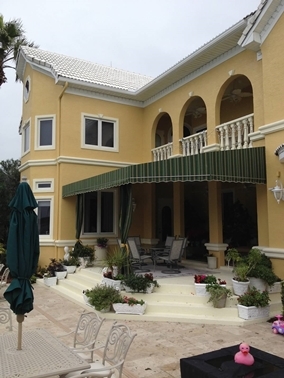 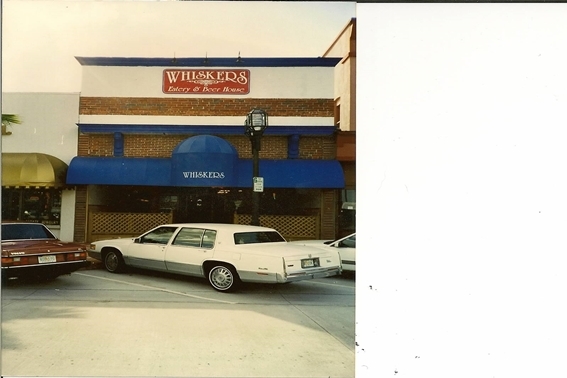 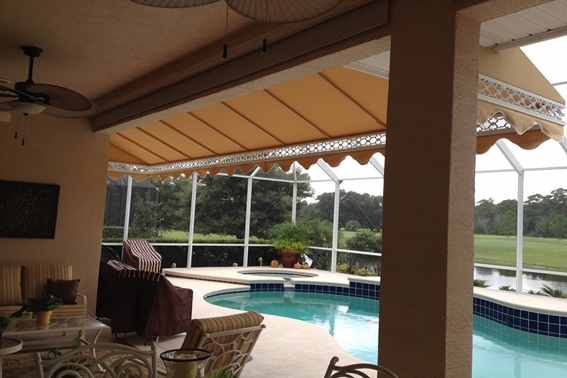 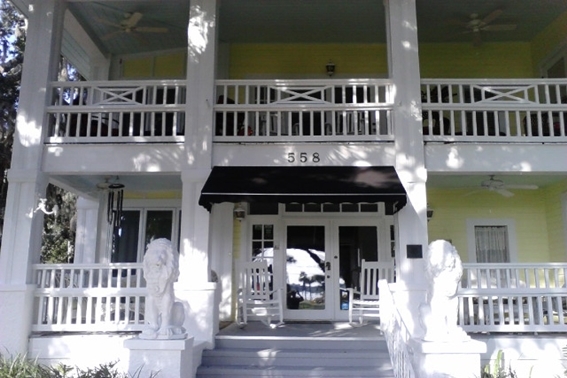 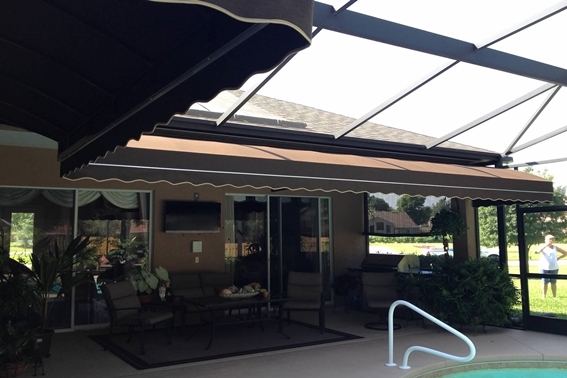 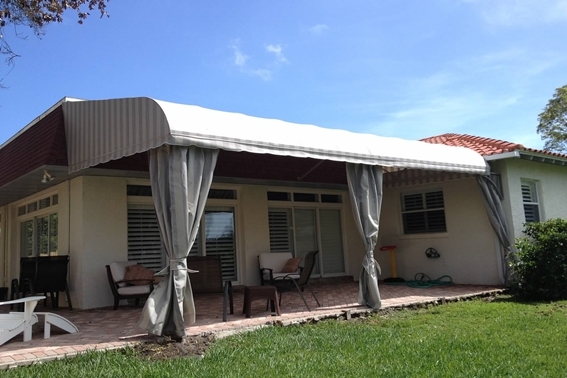 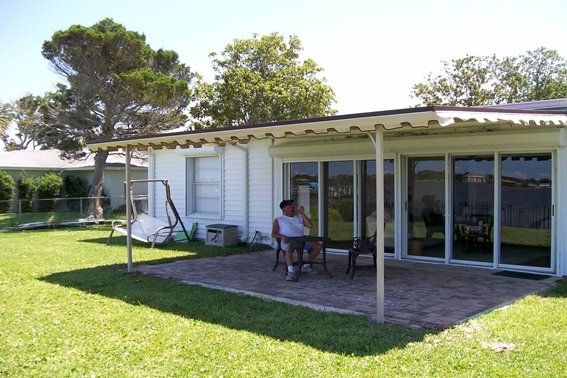 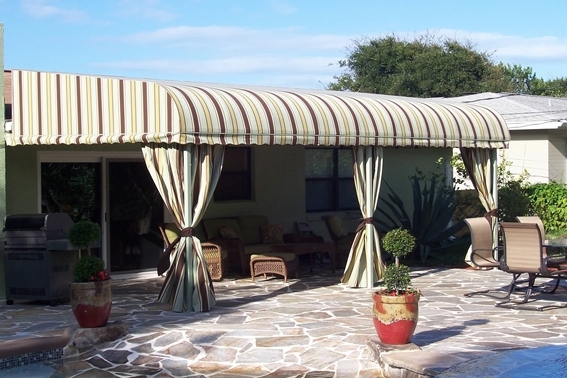 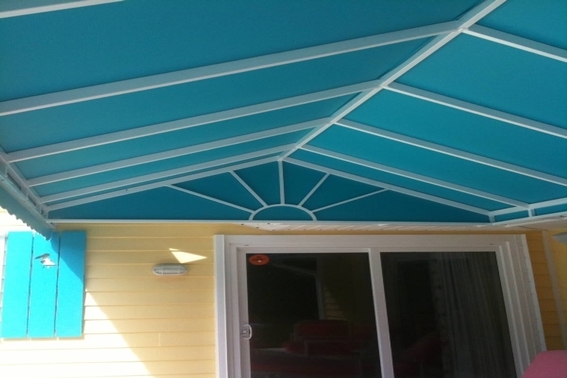 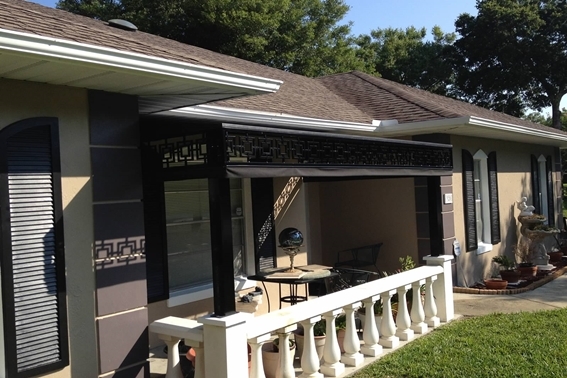 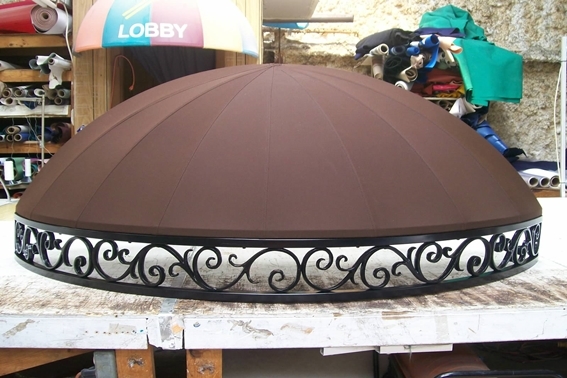 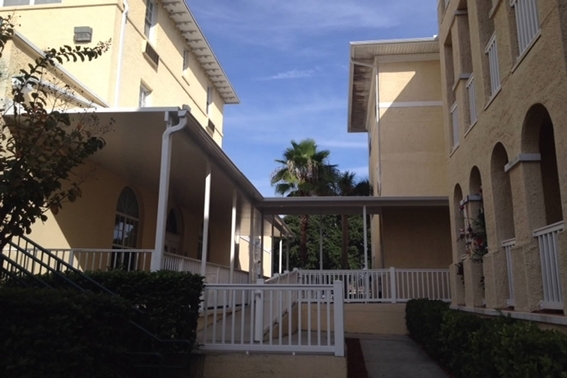 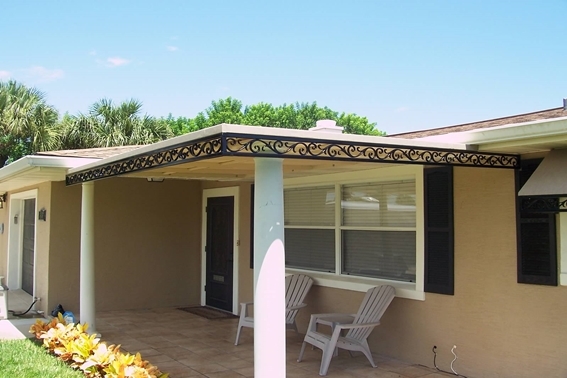 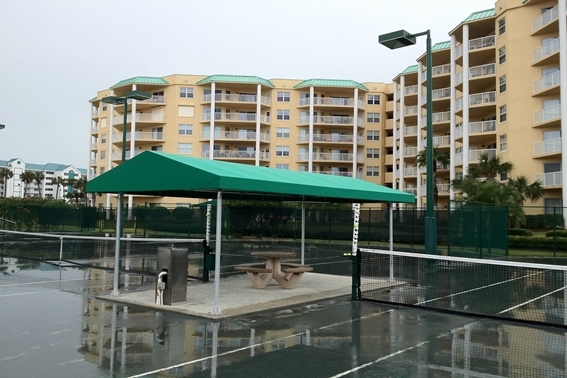 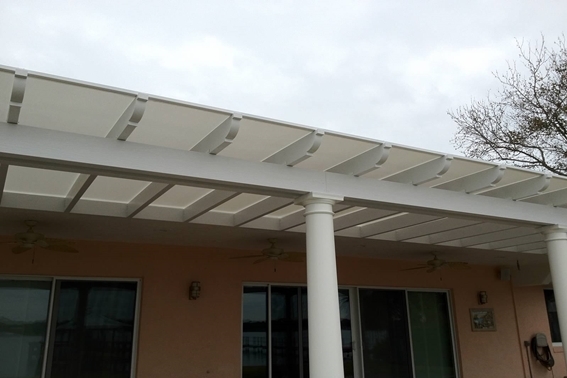 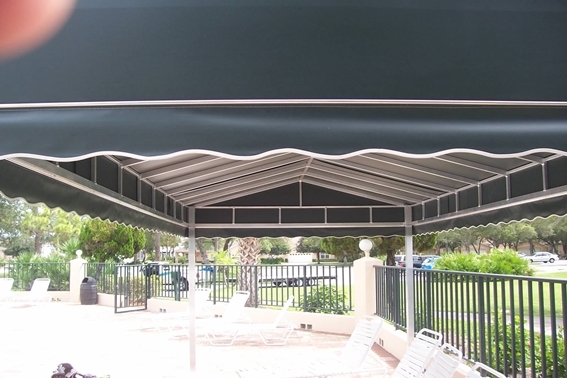 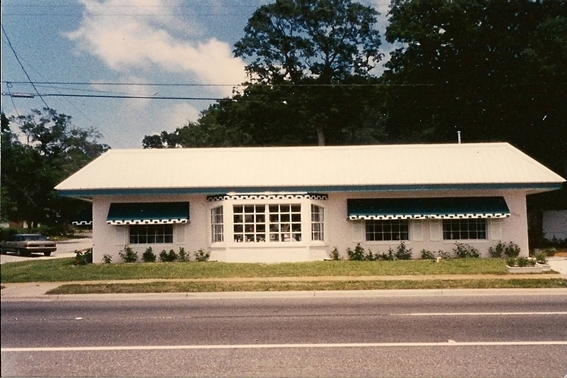 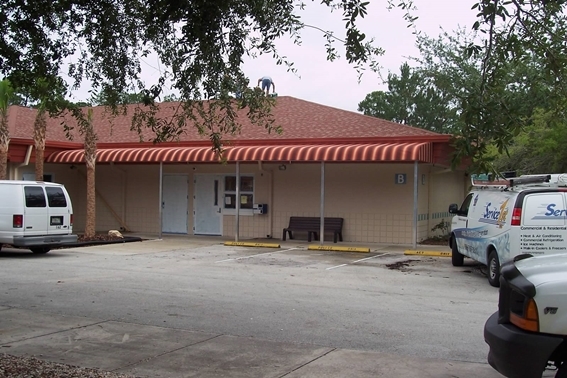 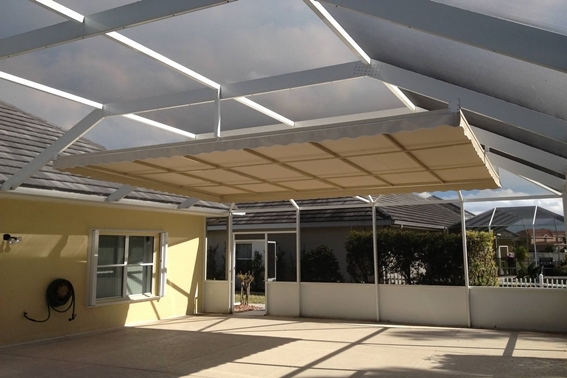 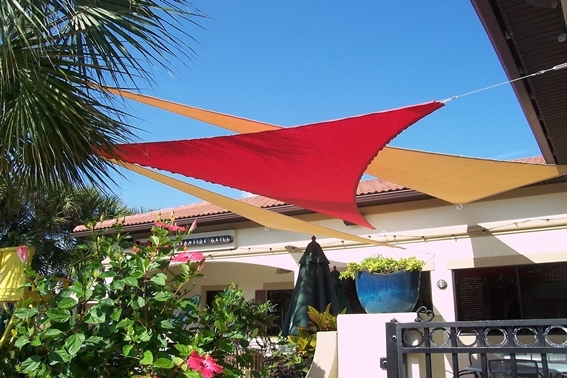 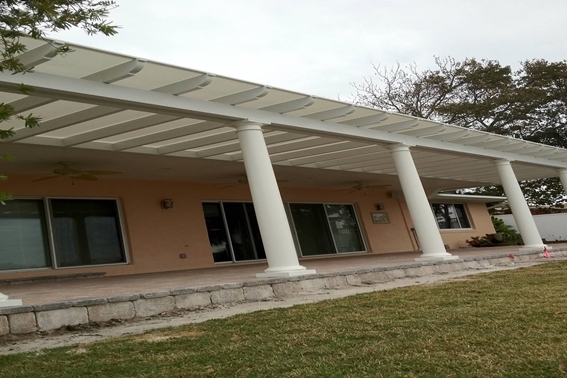 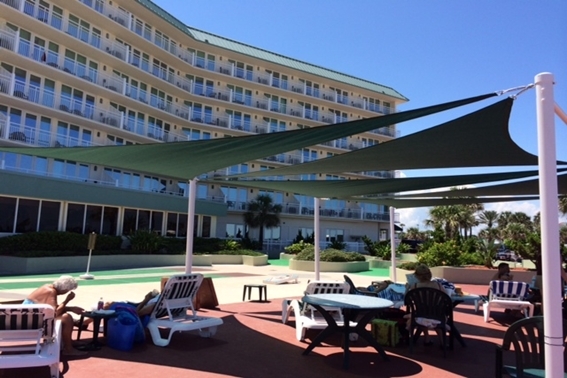 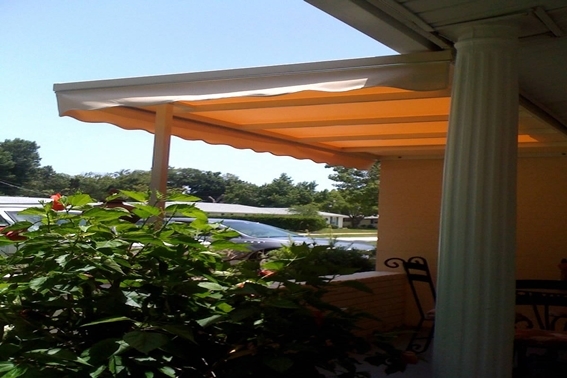 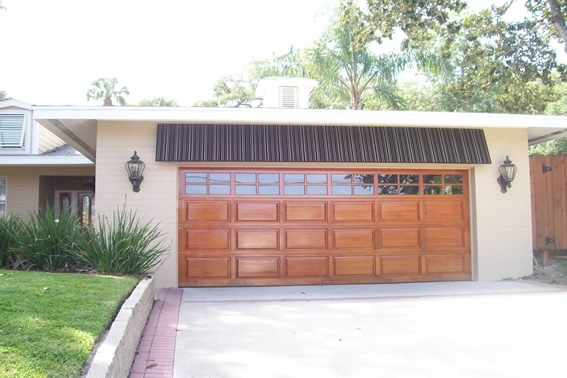 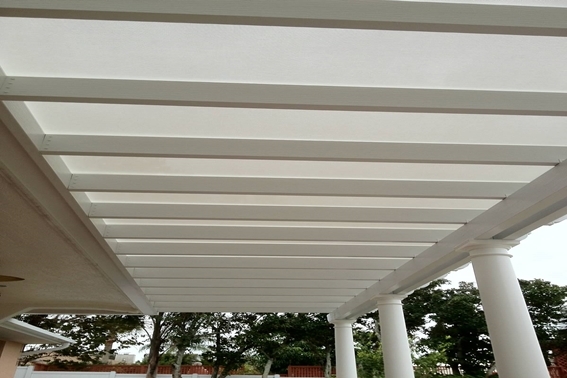 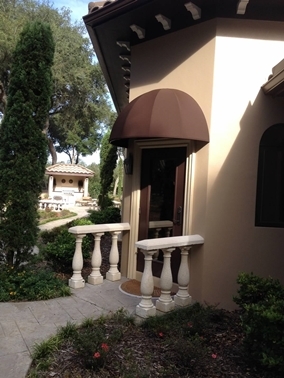 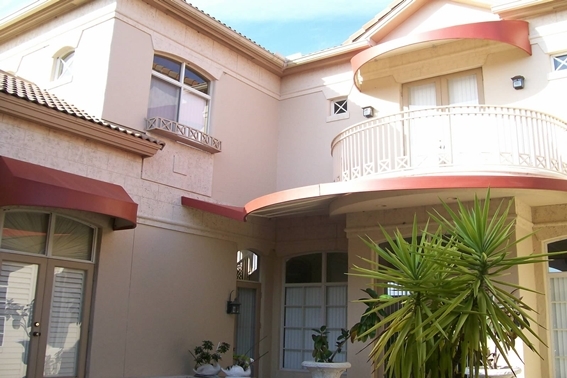 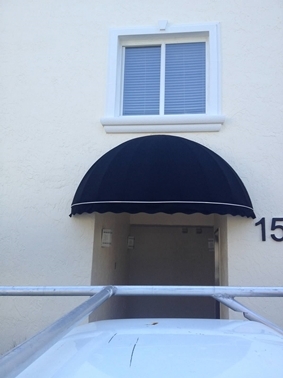 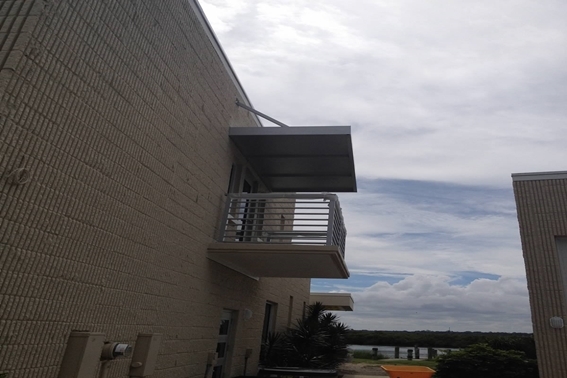 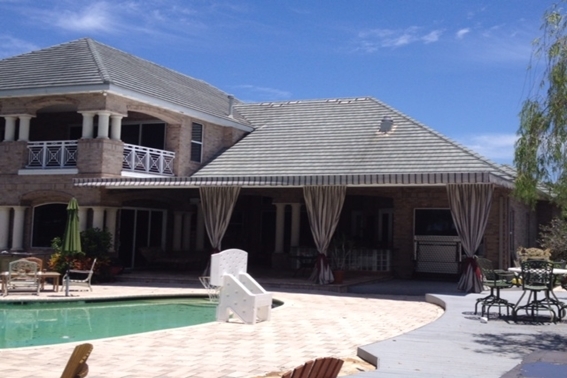 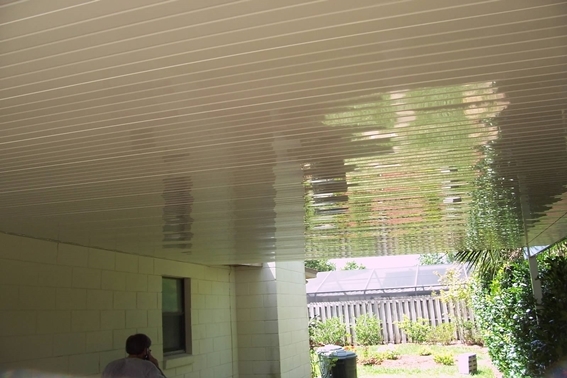 The company has expanded considerably since the 1980s, and these days, Awnings & Tops by Tony is the leading manufacturer of awnings, carports, walkway covers, sun sails and more. 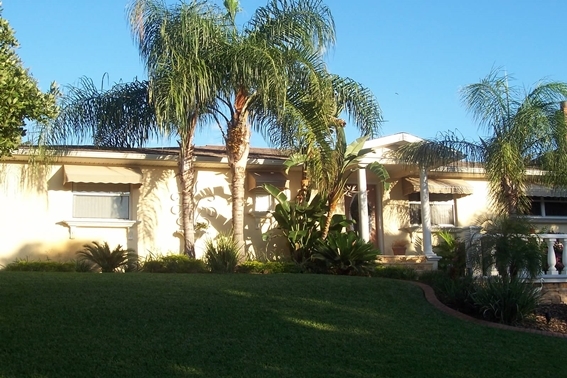 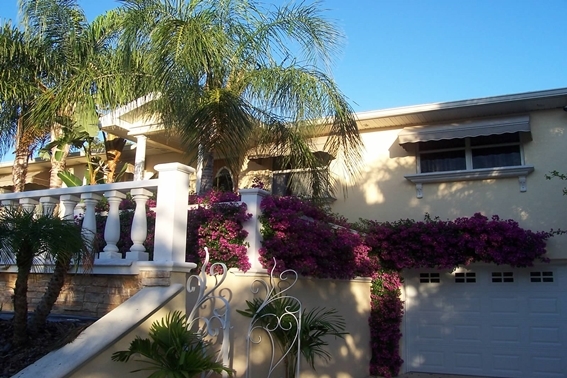 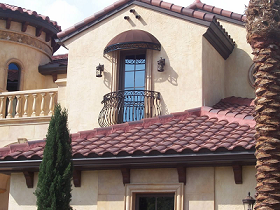 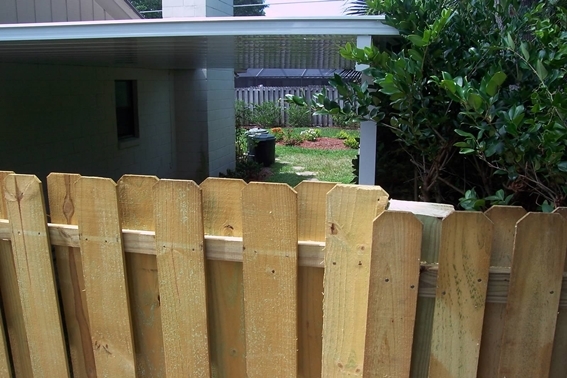 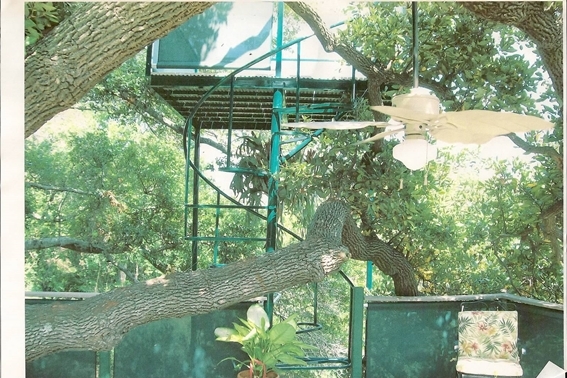 Our custom-designed and custom-installed products are backed by years worth of experience, and it shows. 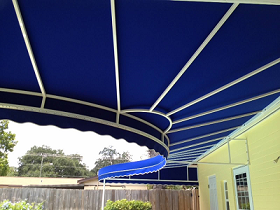 We choose only the best fabric and frame materials, and create the best products you'll find on the market. 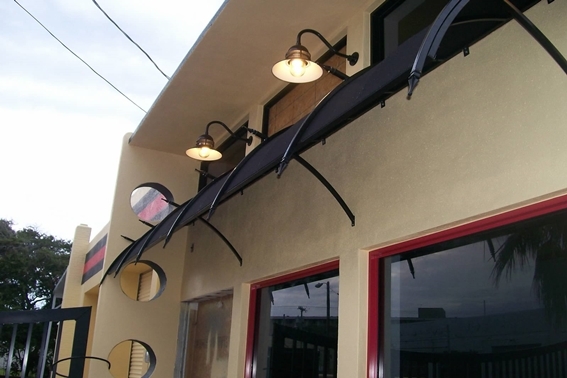 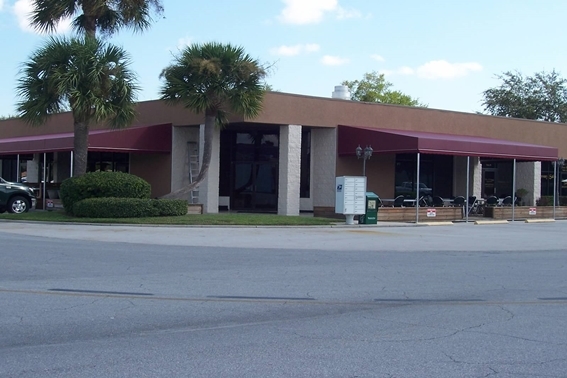 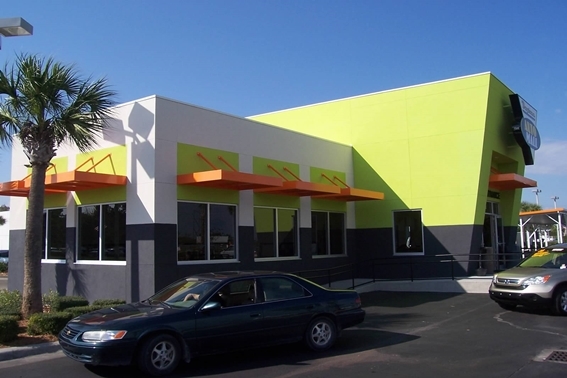 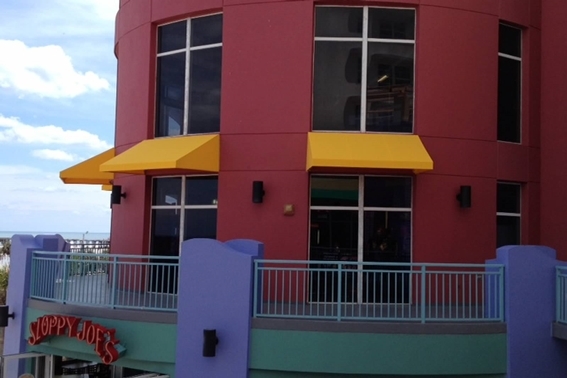 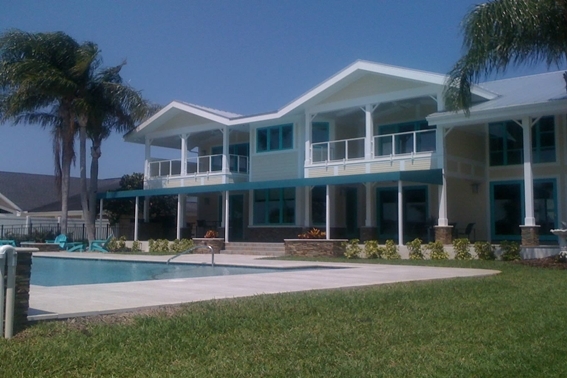 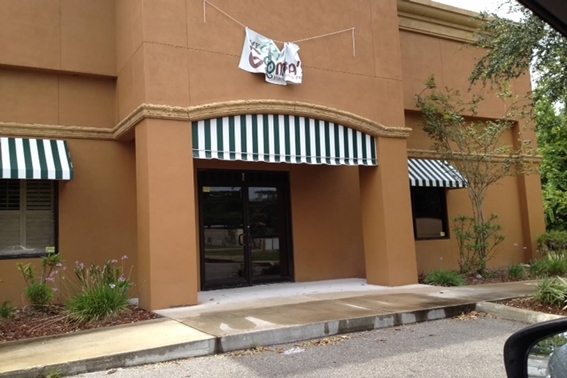 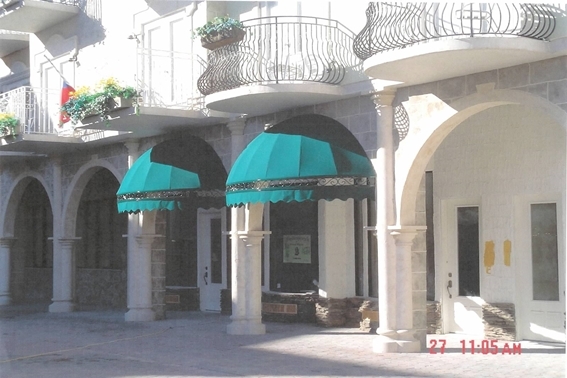 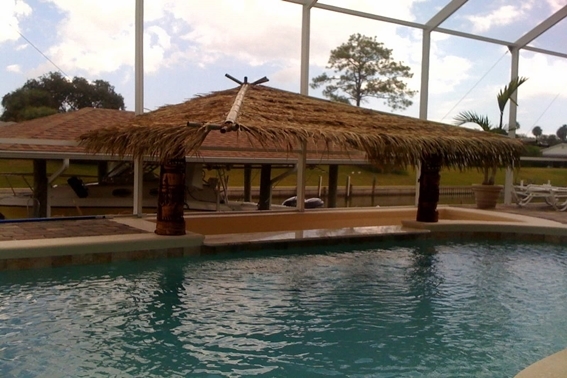 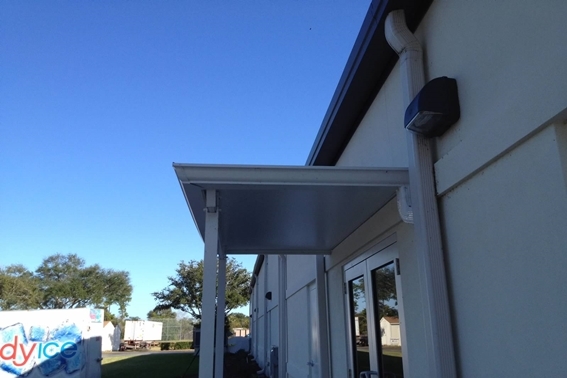 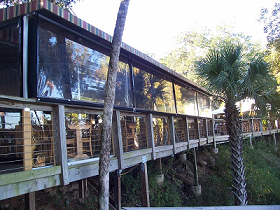 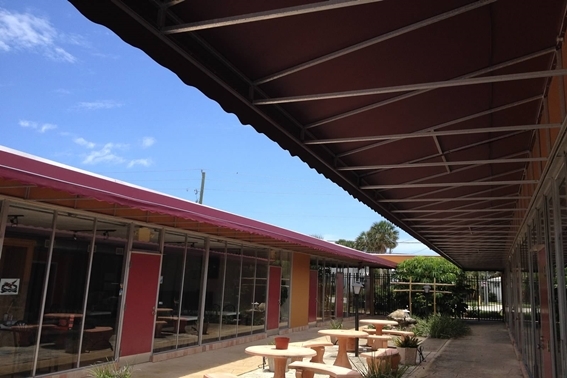 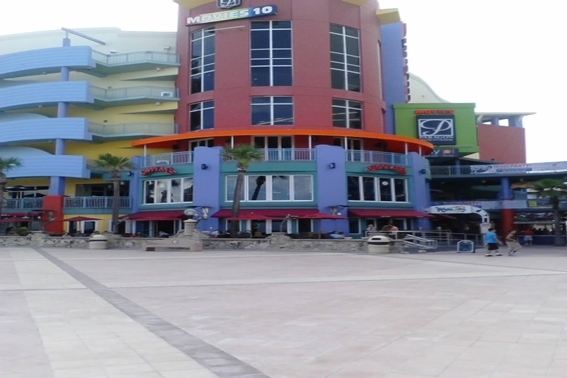 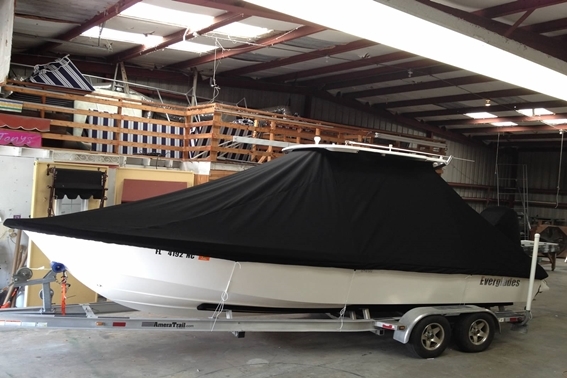 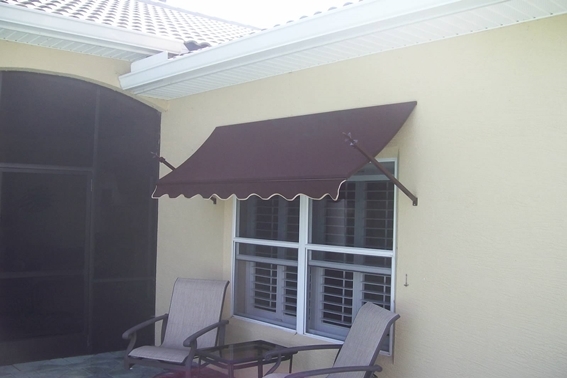 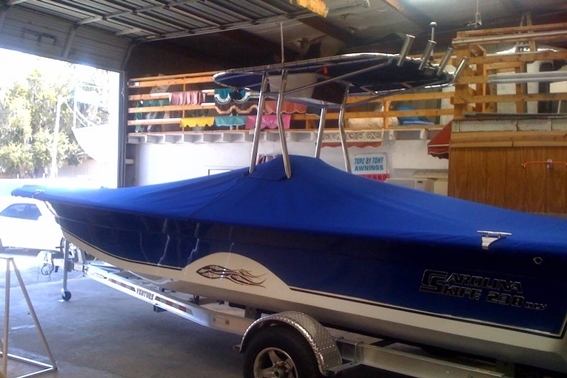 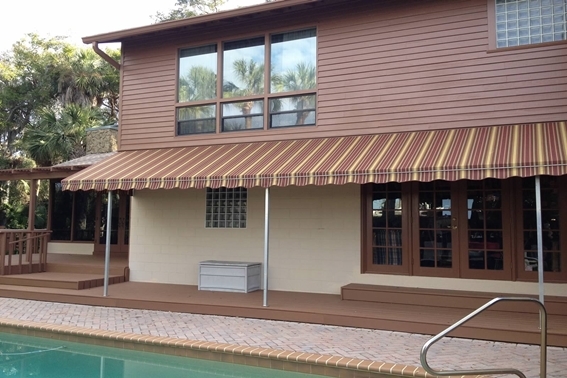 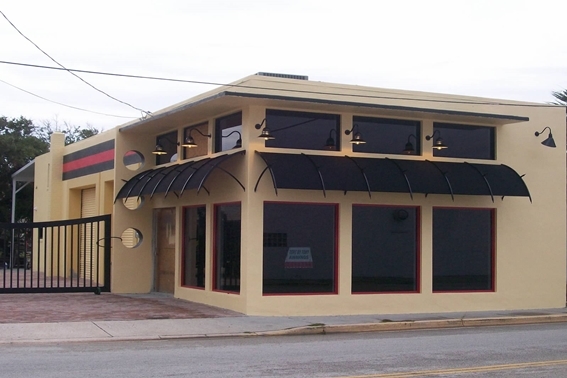 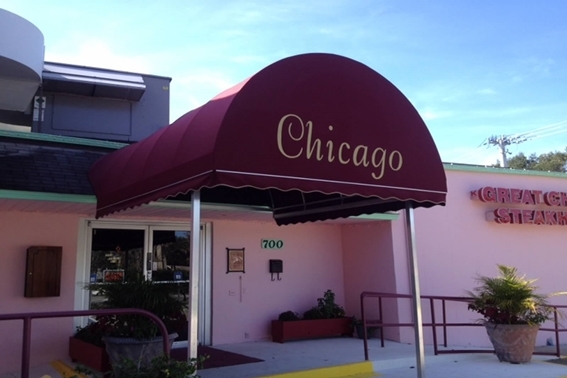 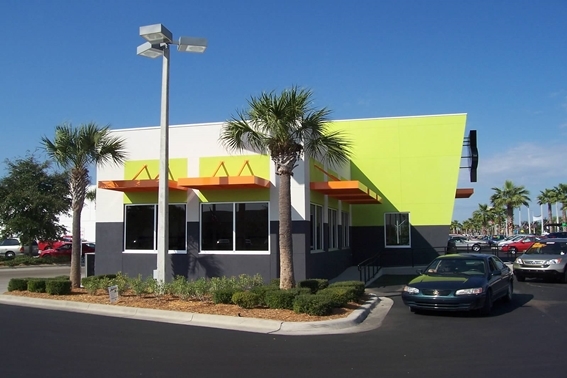 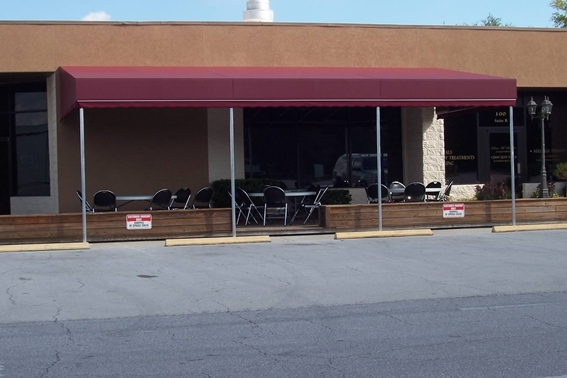 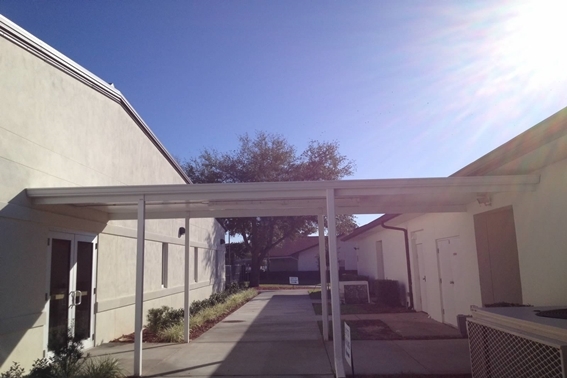 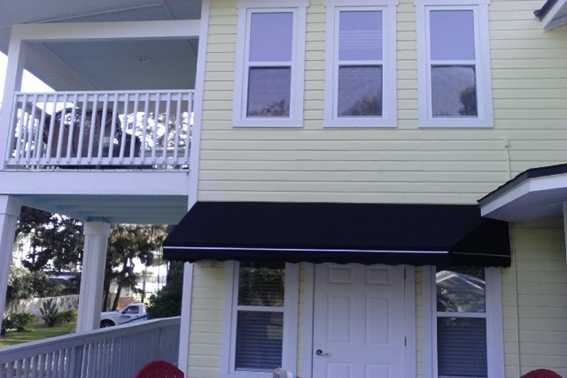 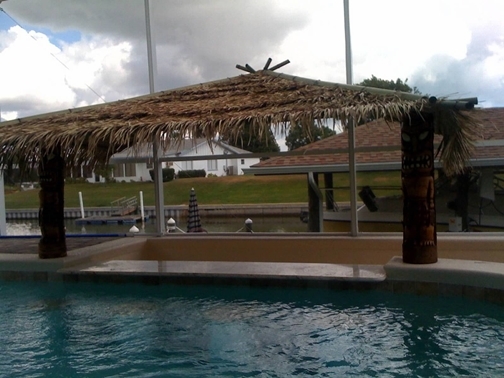 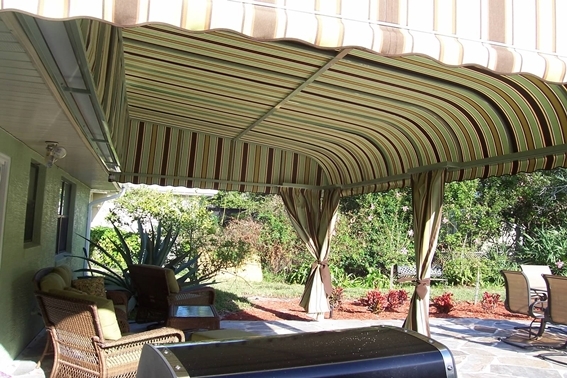 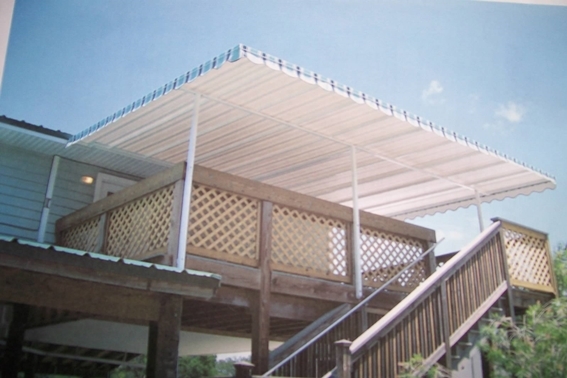 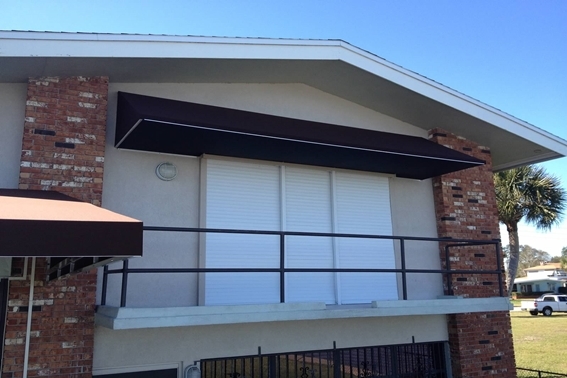 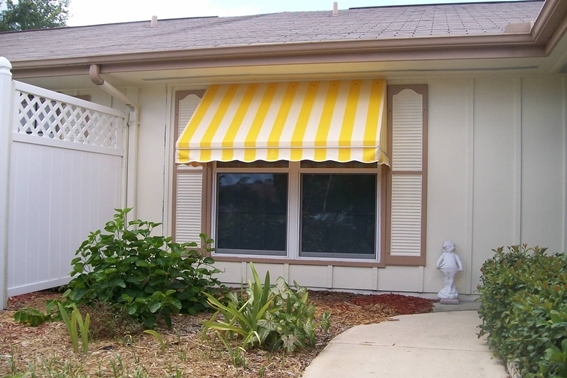 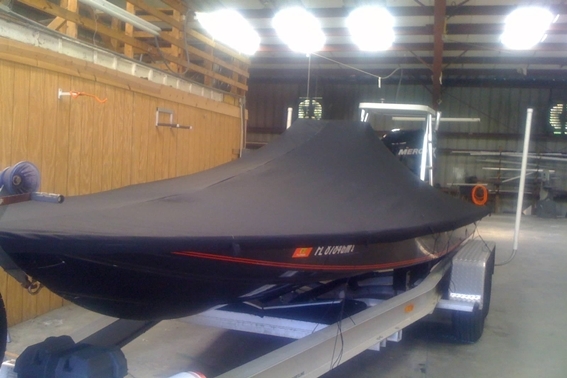 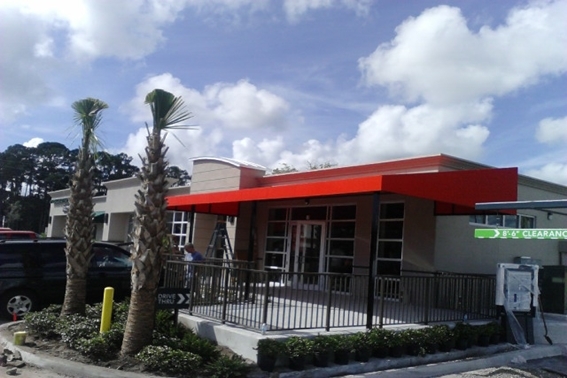 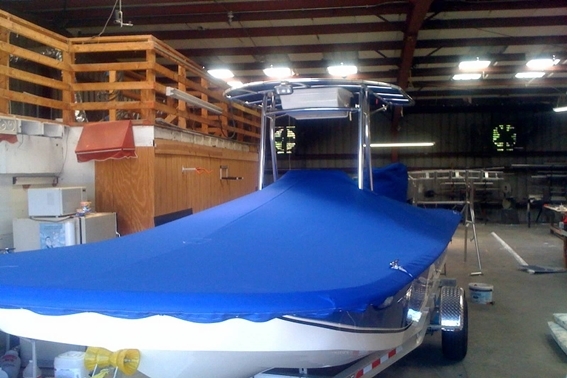 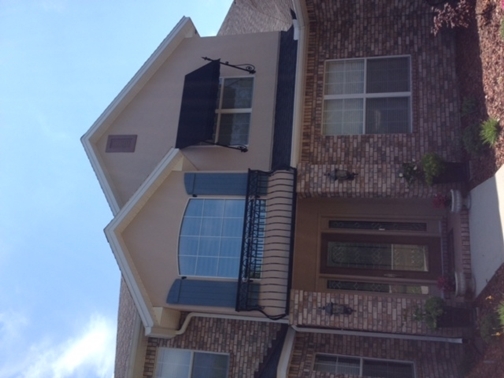 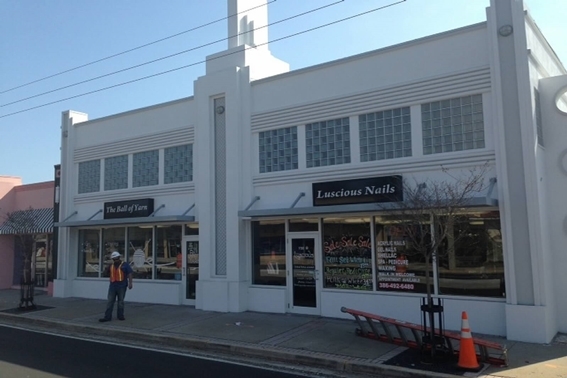 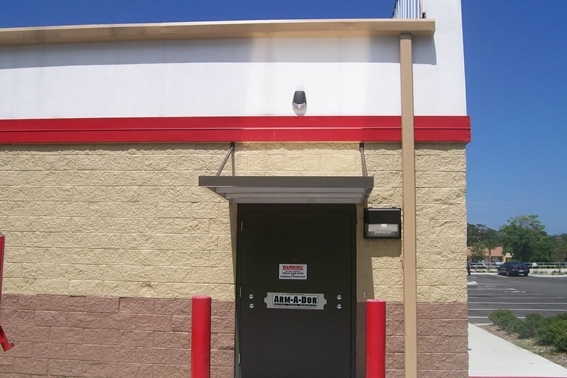 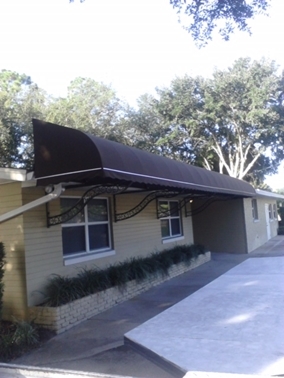 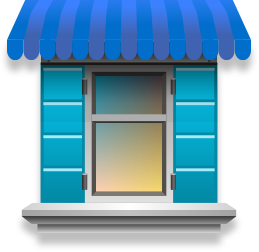 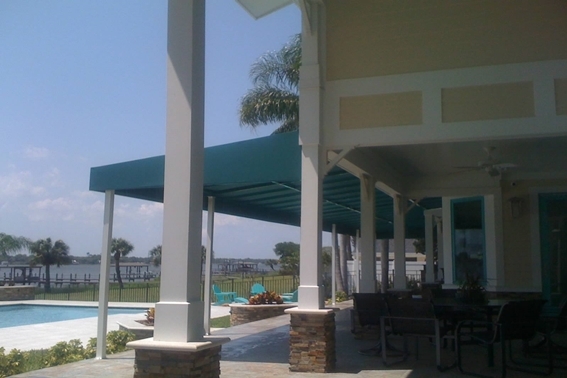 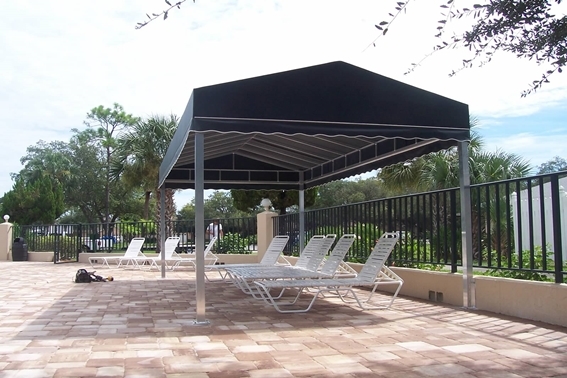 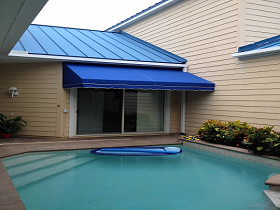 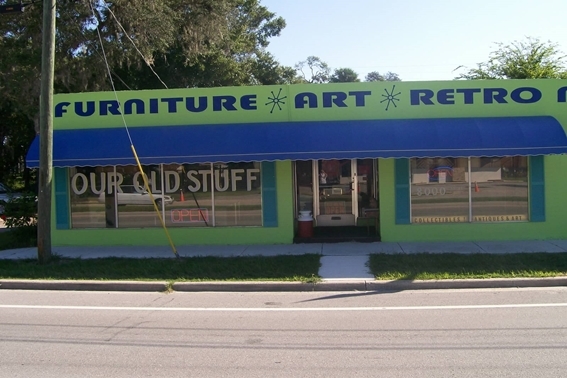 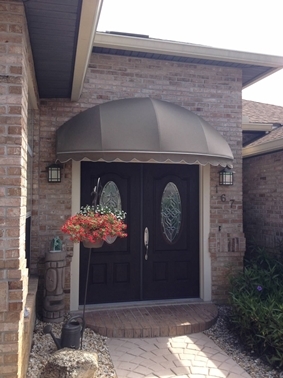 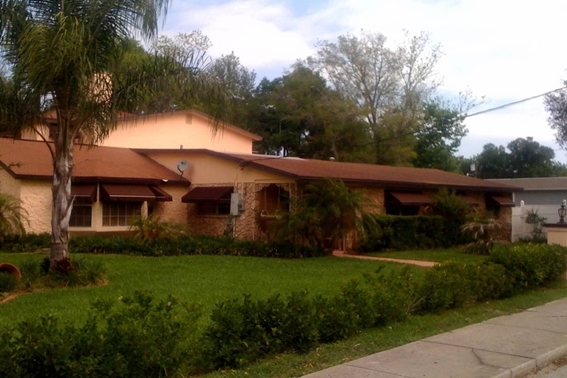 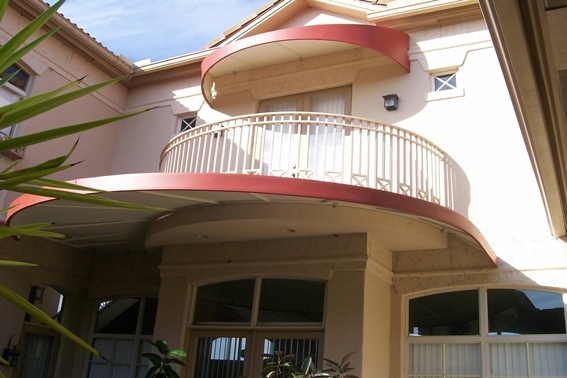 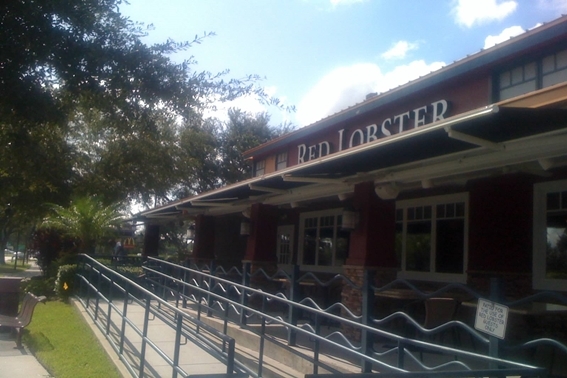 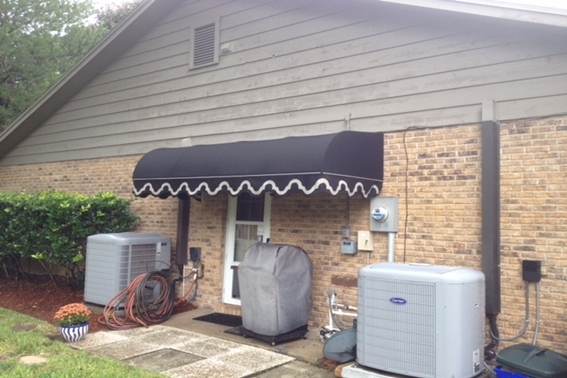 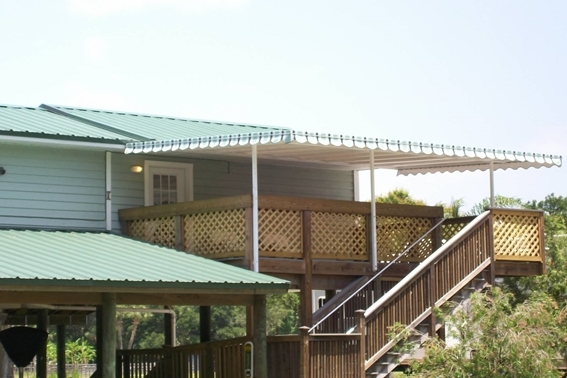 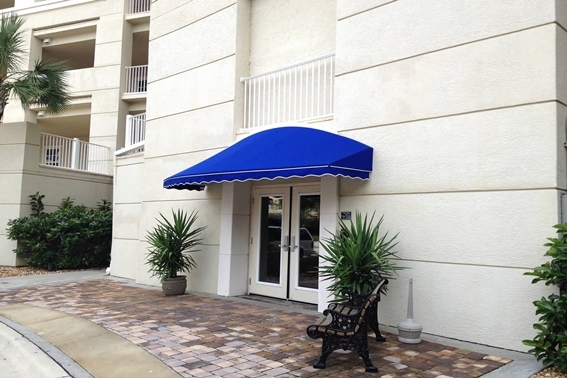 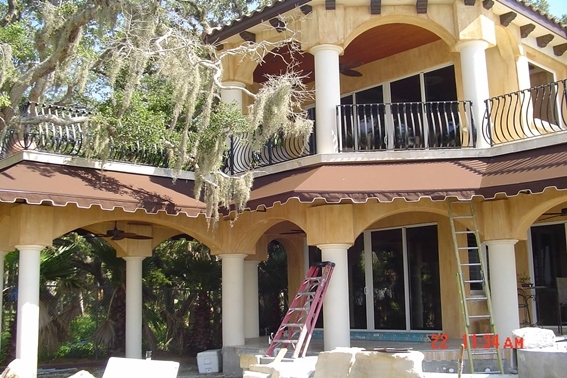 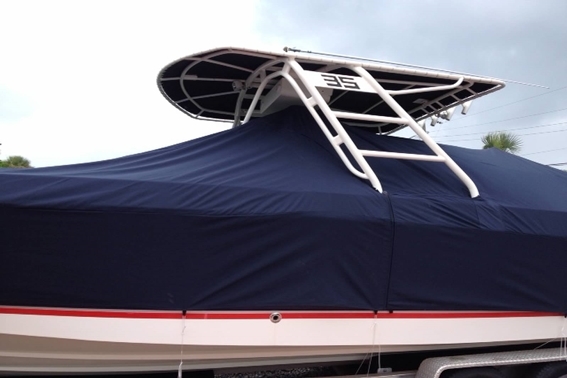 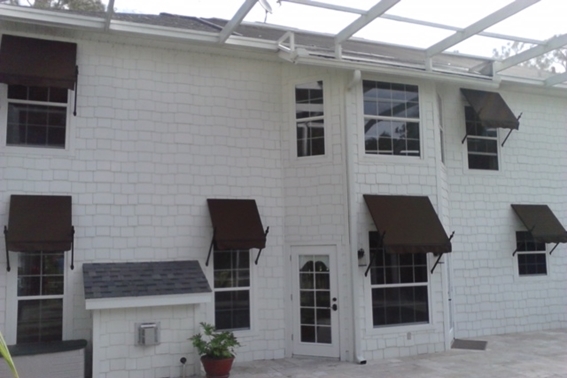 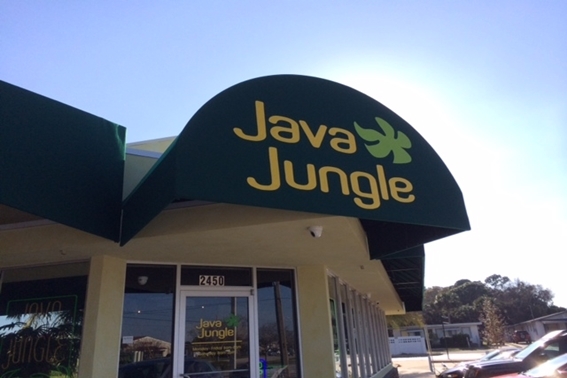 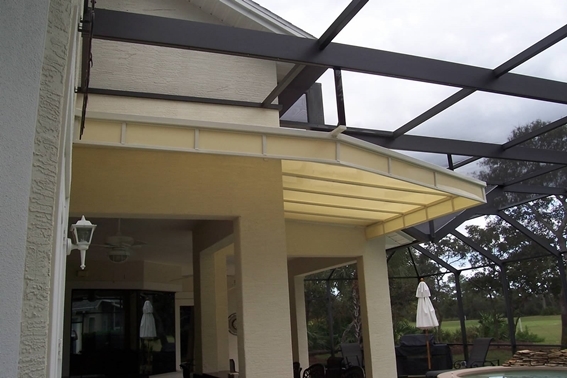 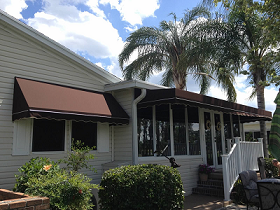 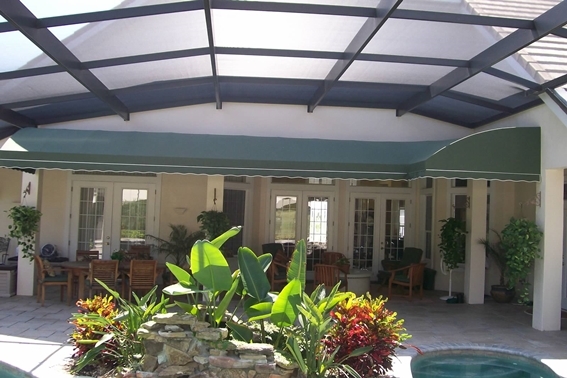 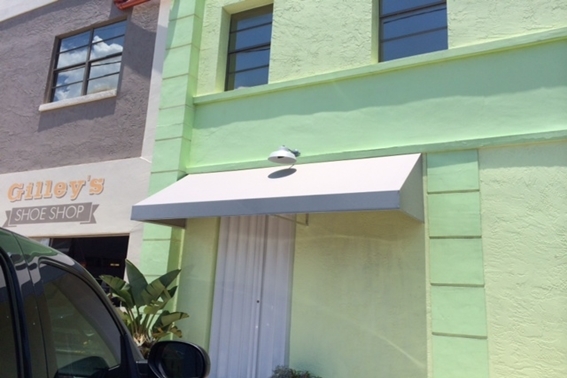 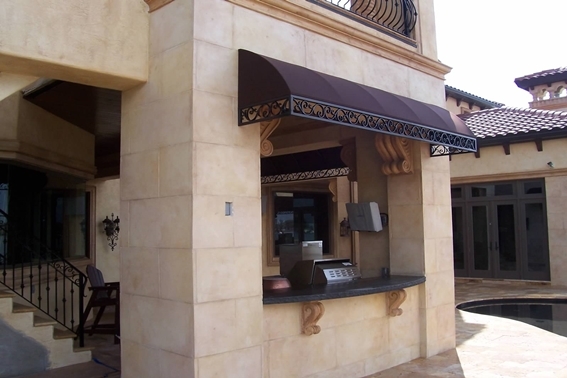 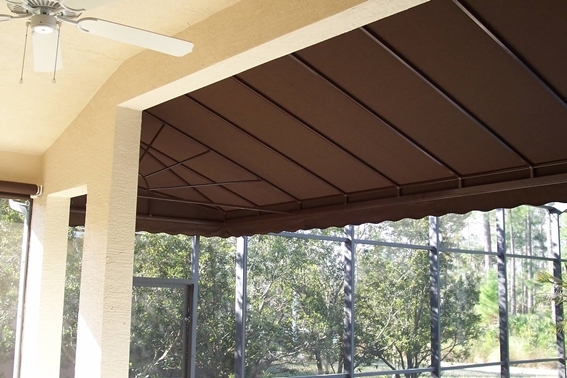 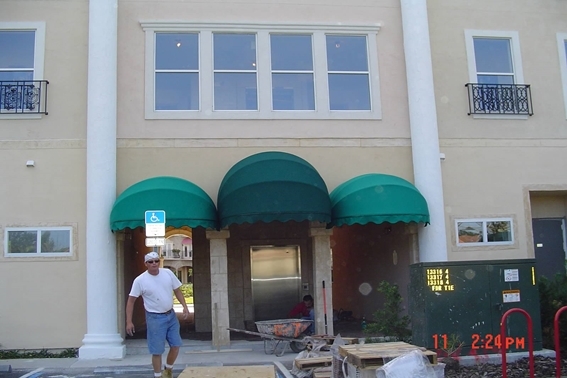 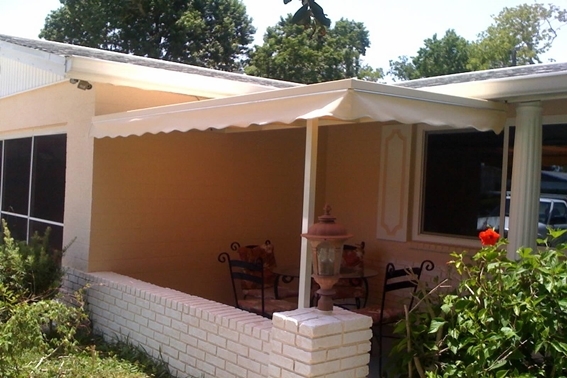 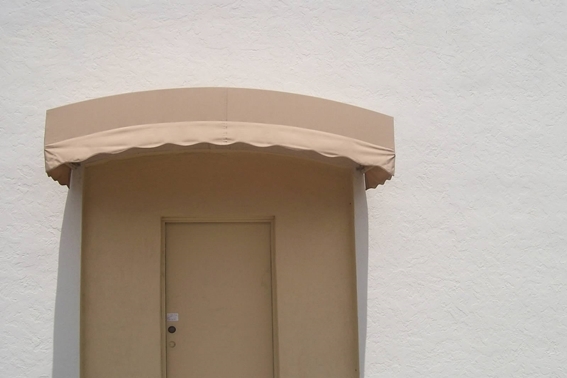 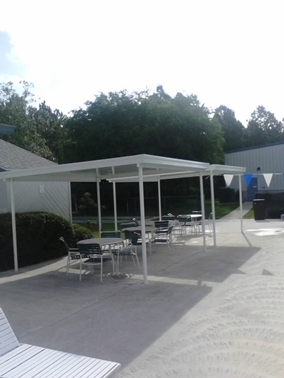 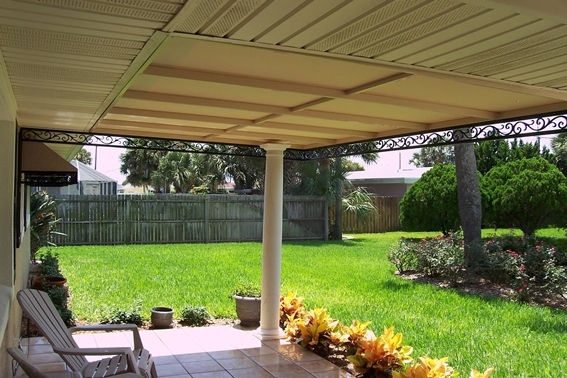 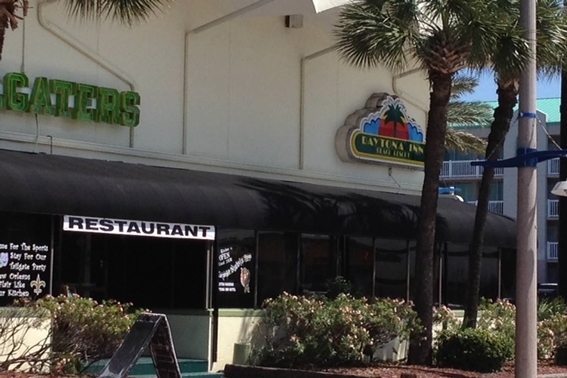 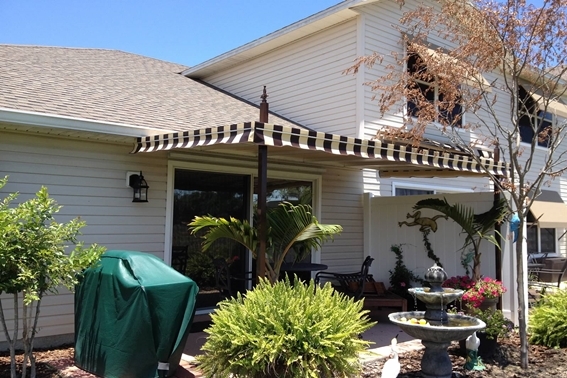 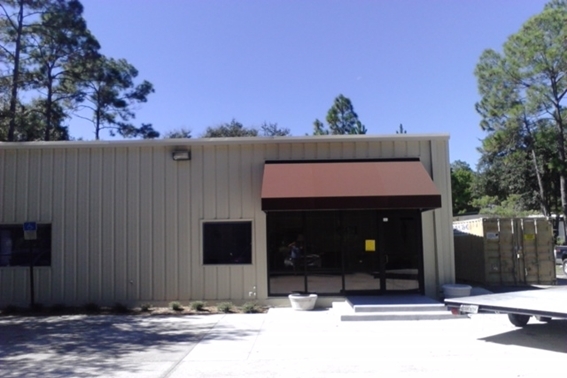 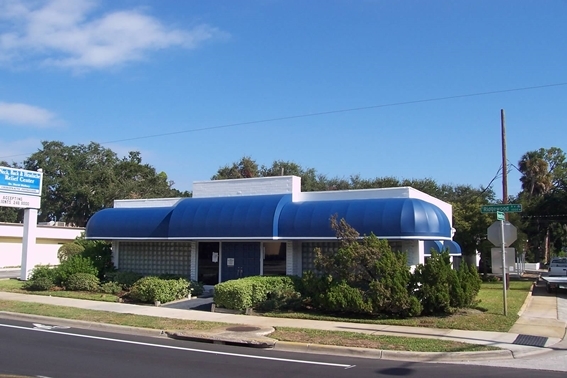 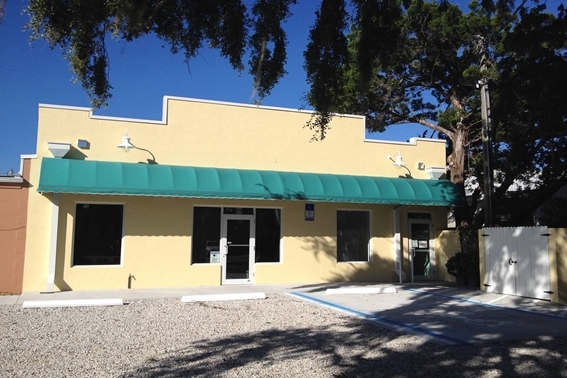 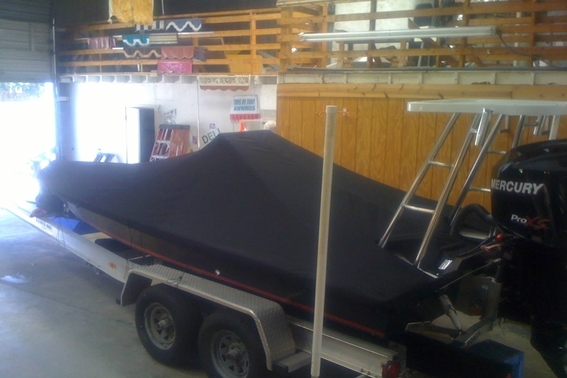 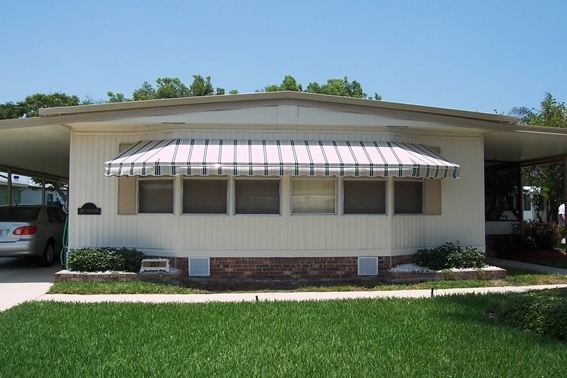 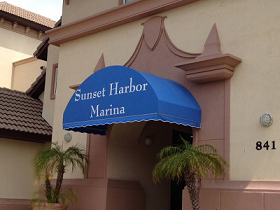 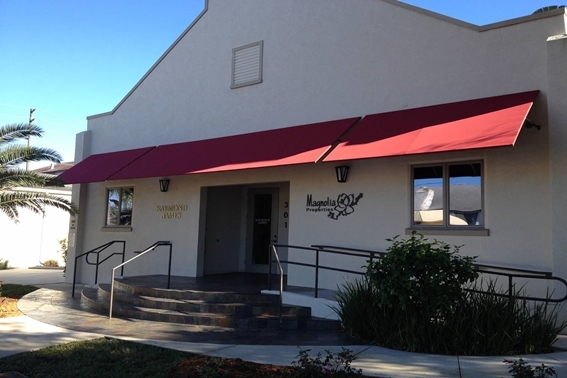 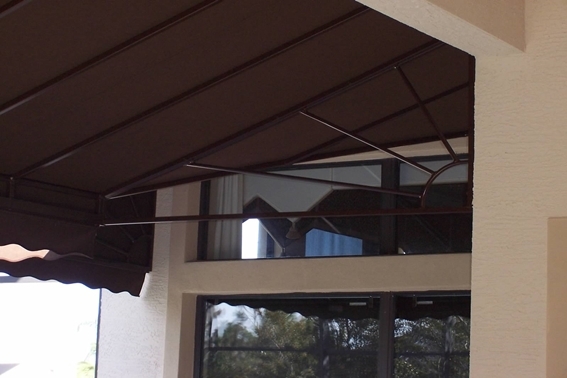 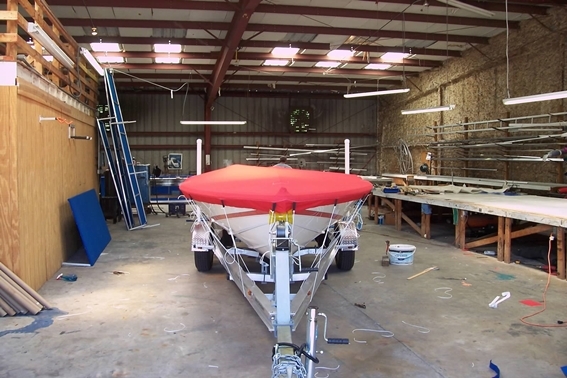 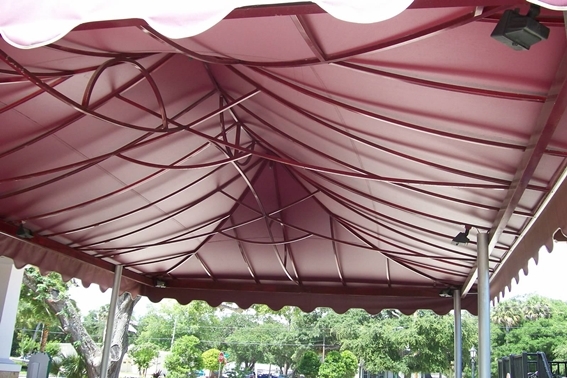 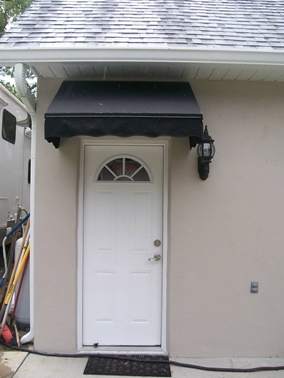 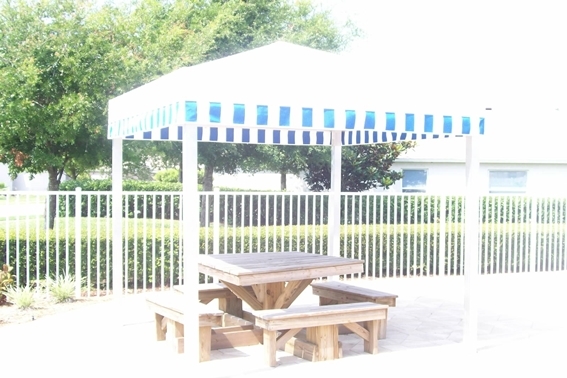 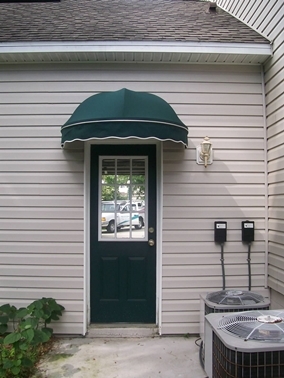 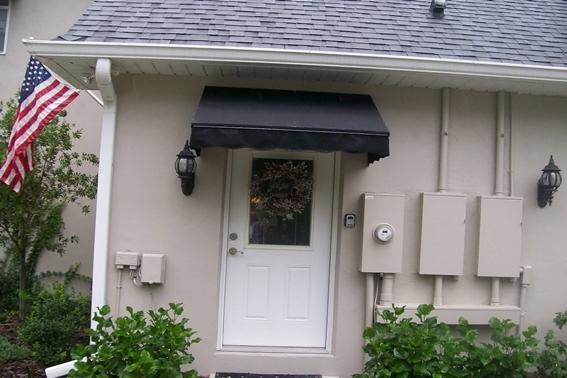 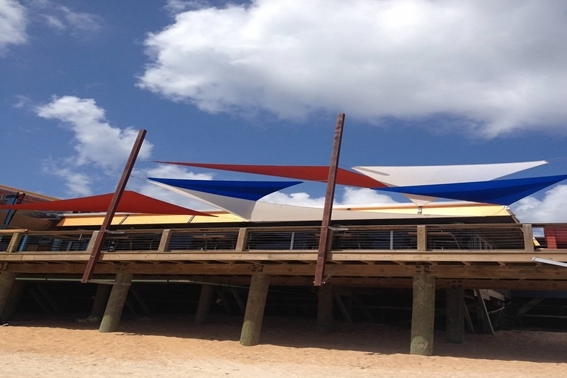 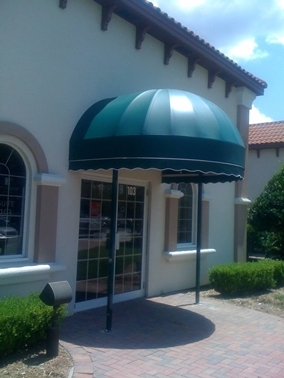 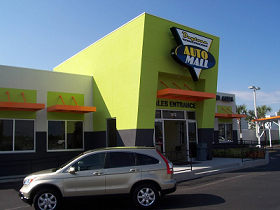 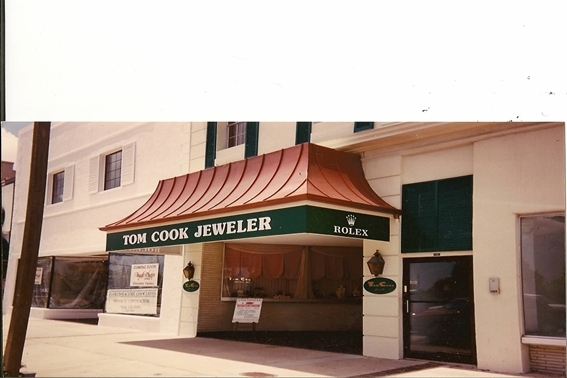 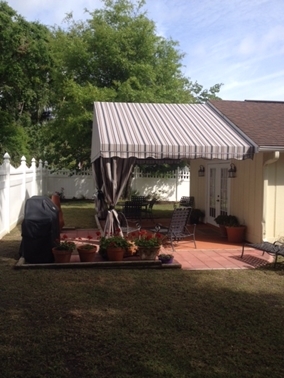 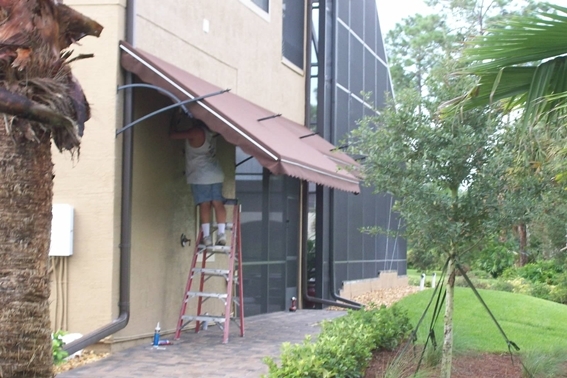 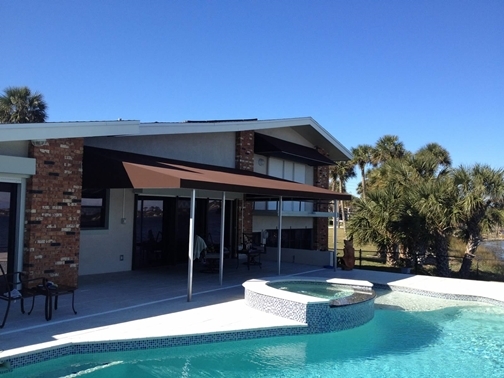 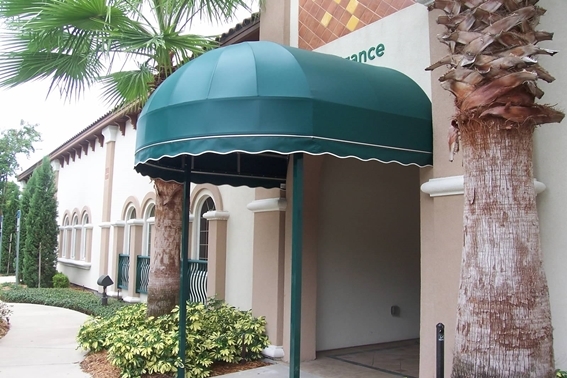 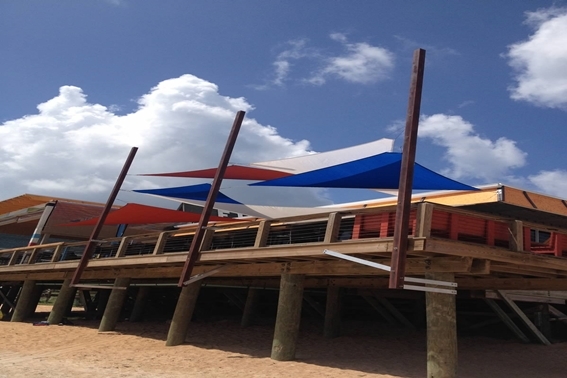 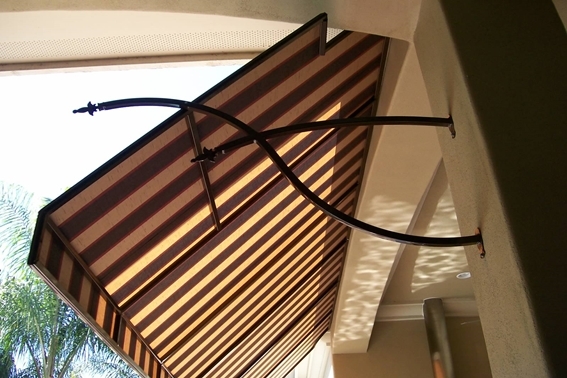 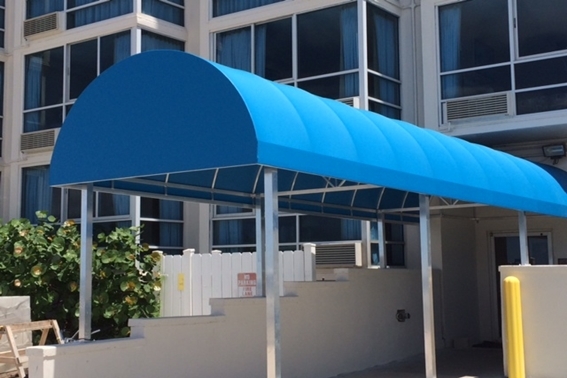 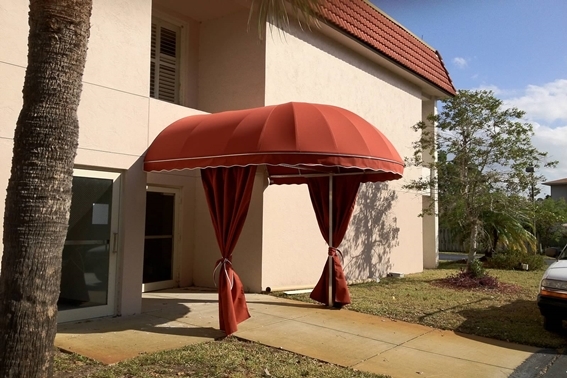 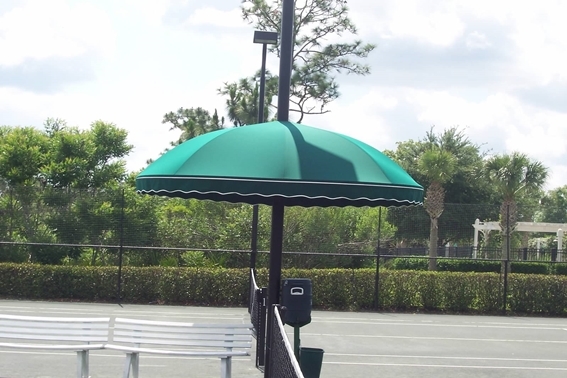 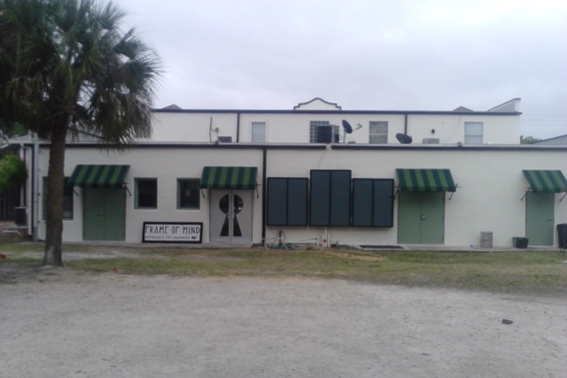 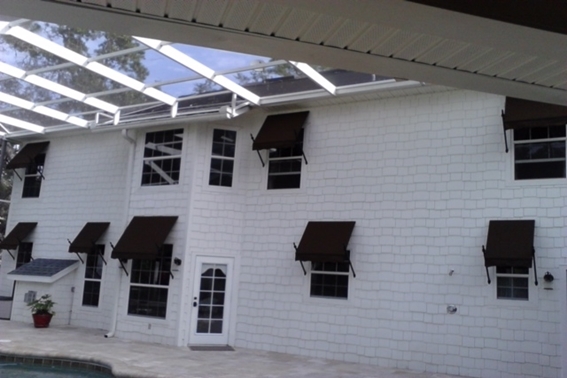 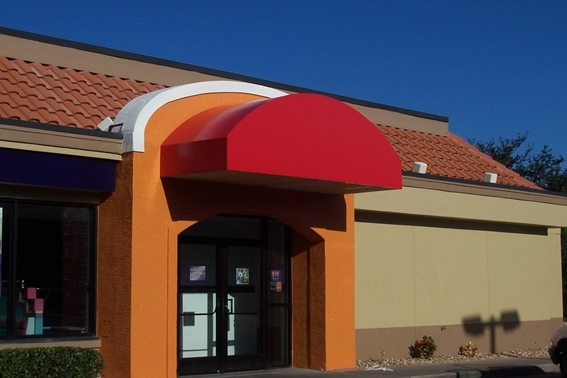 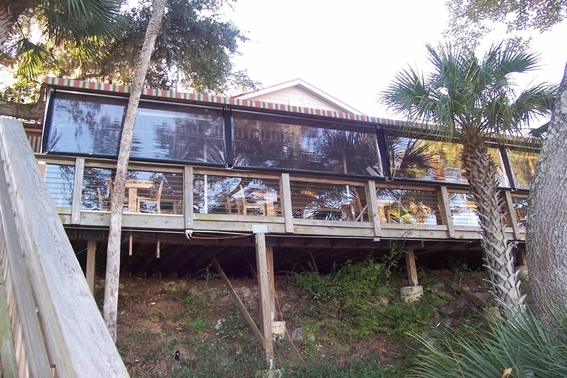 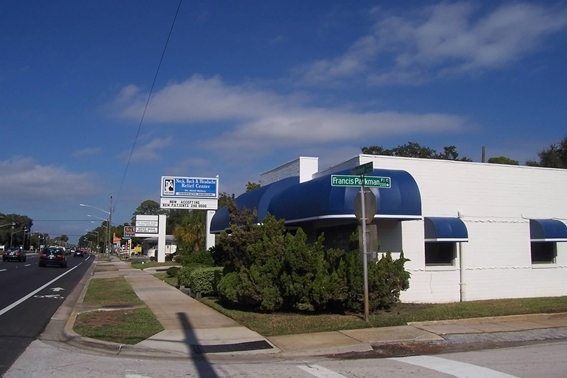 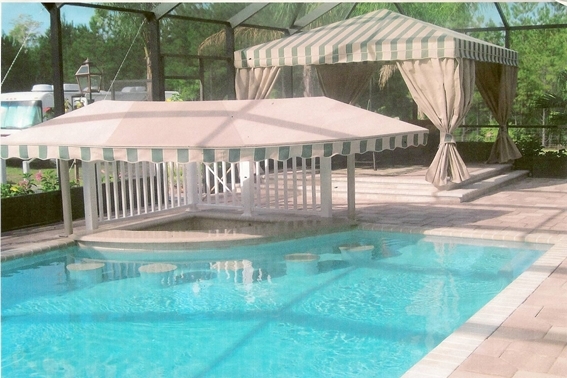 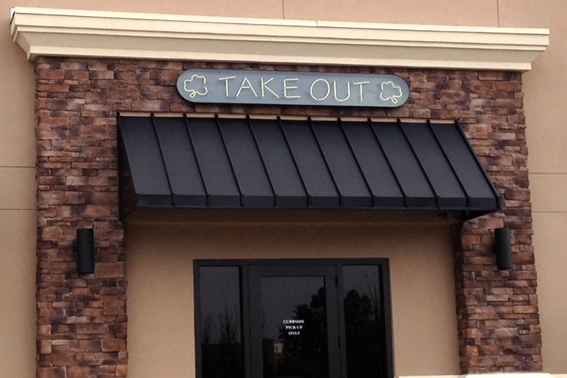 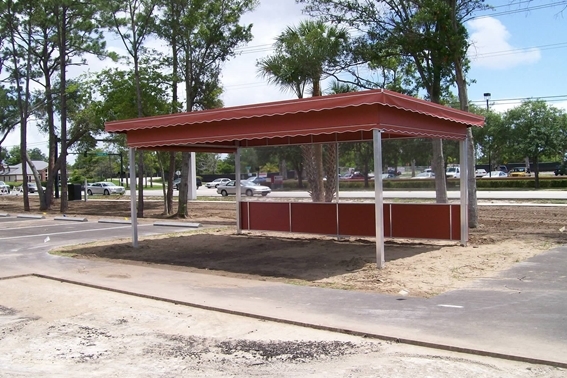 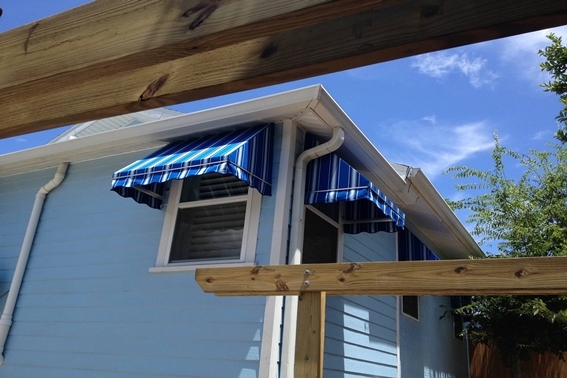 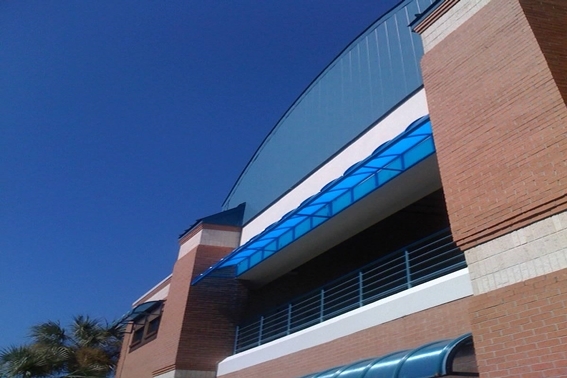 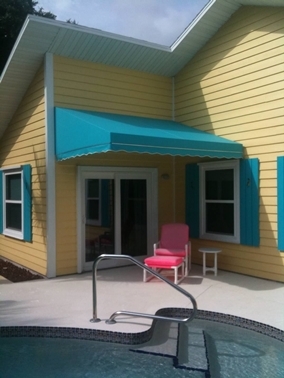 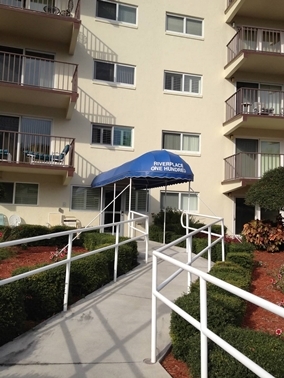 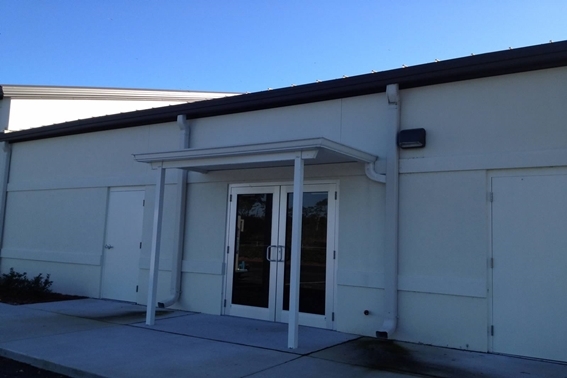 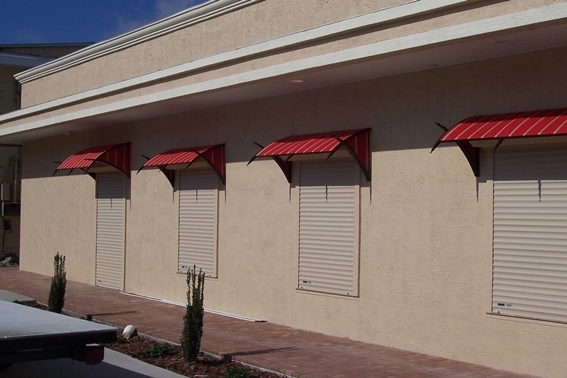 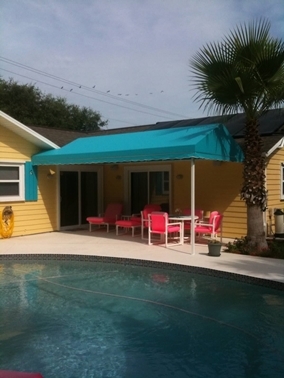 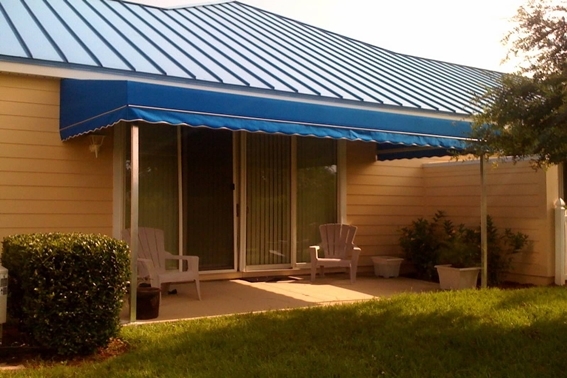 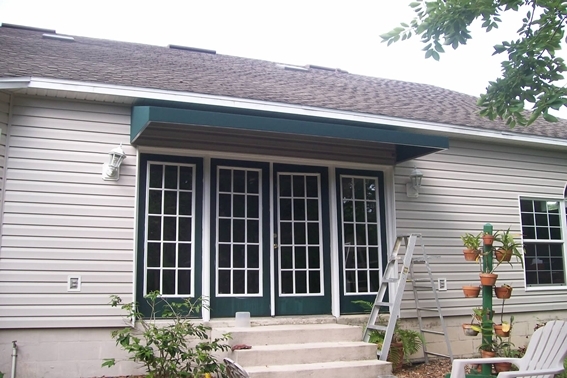 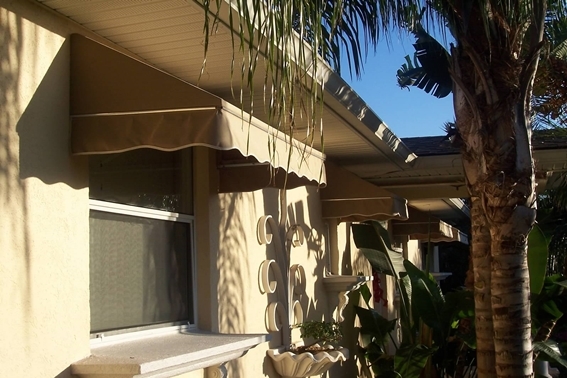 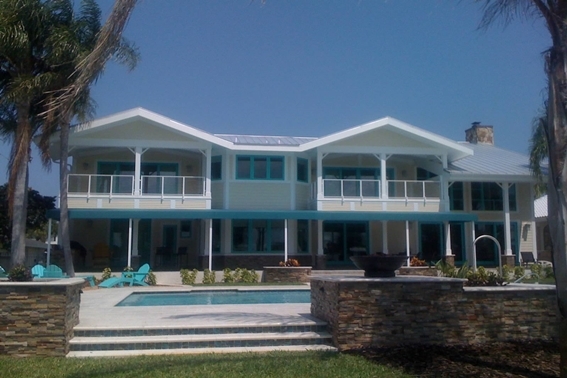 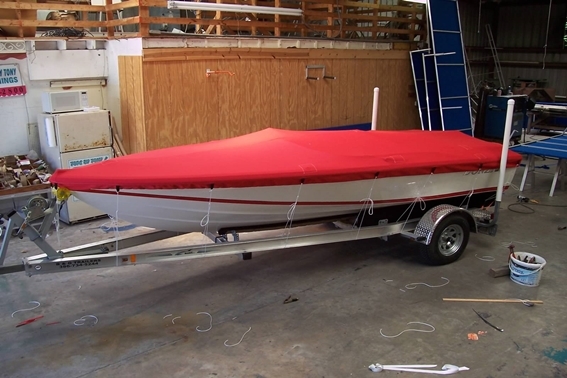 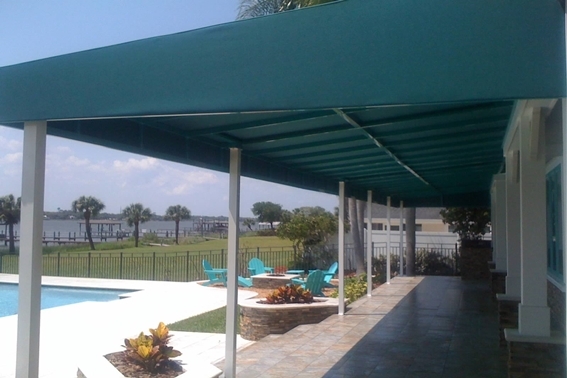 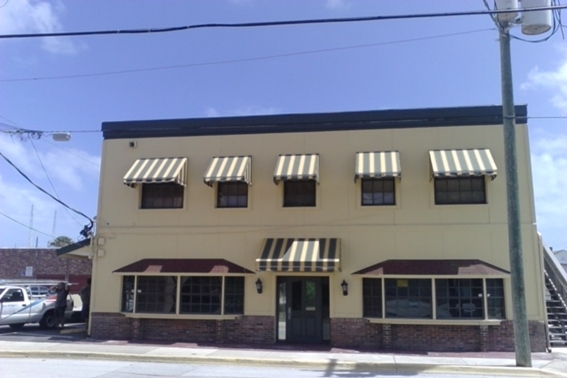 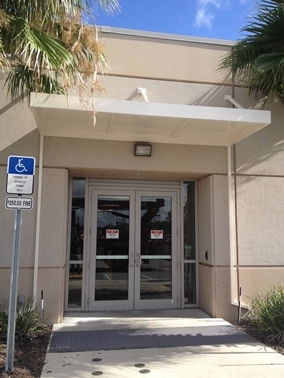 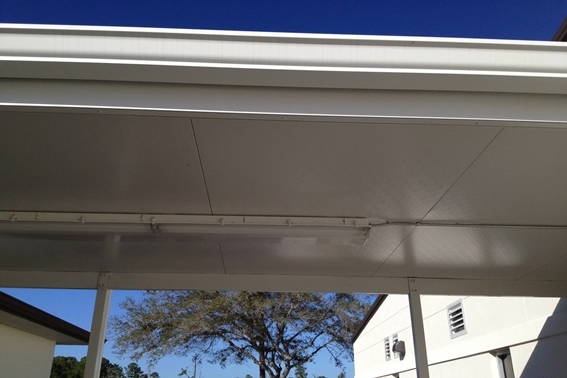 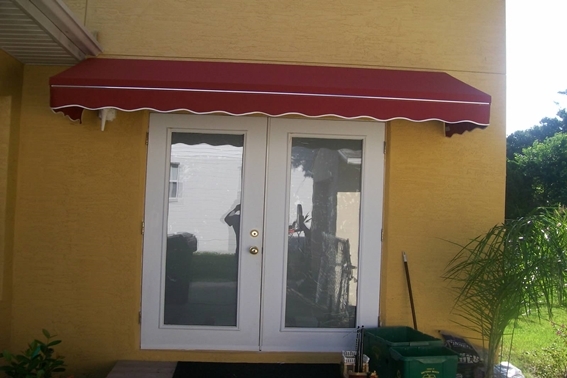 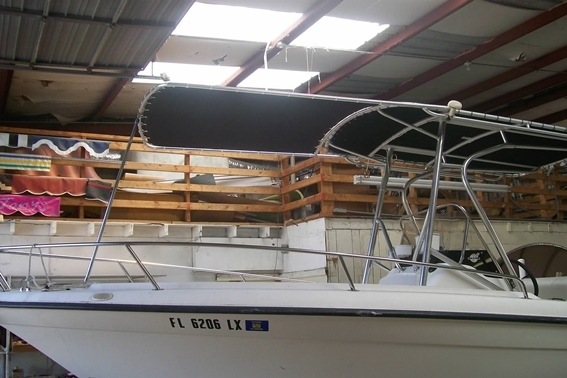 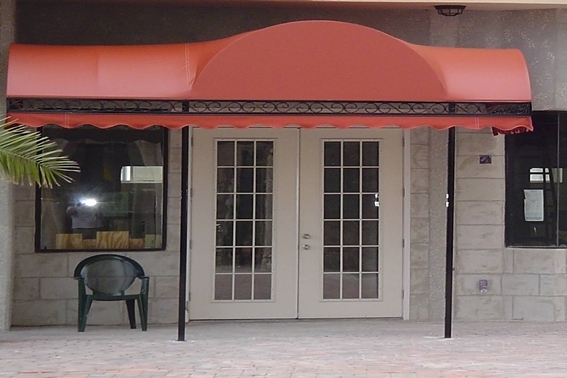 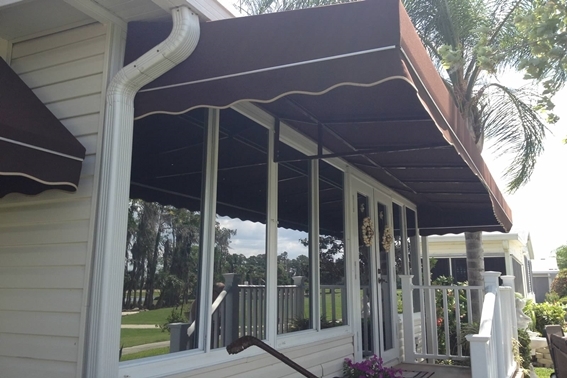 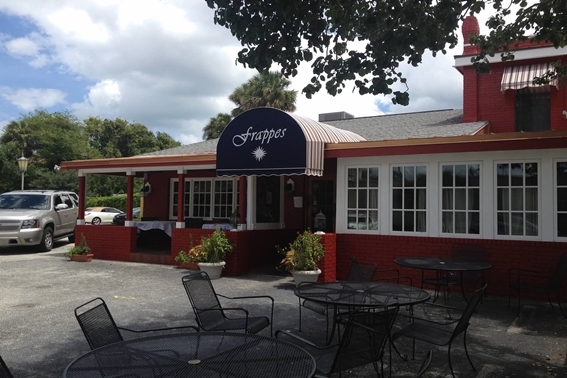 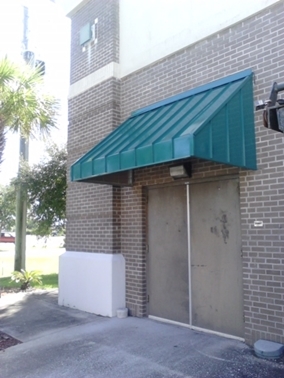 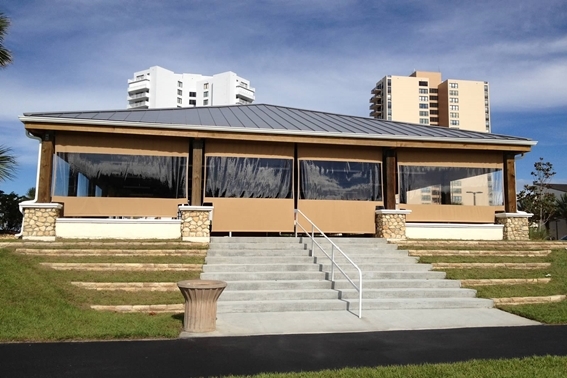 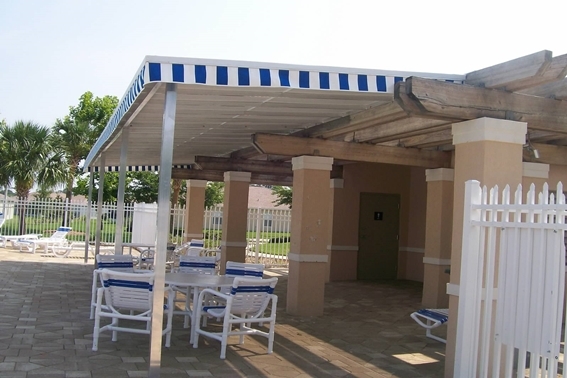 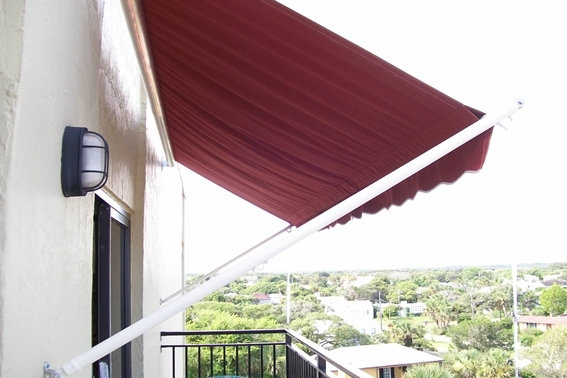 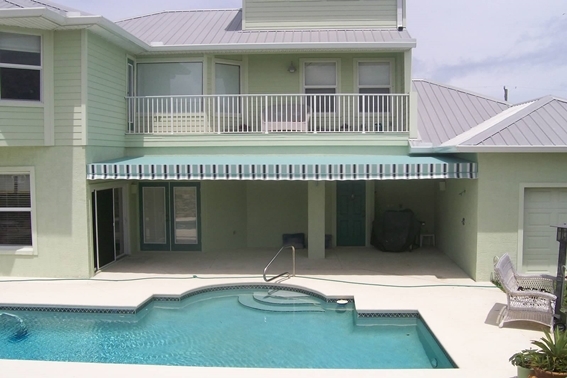 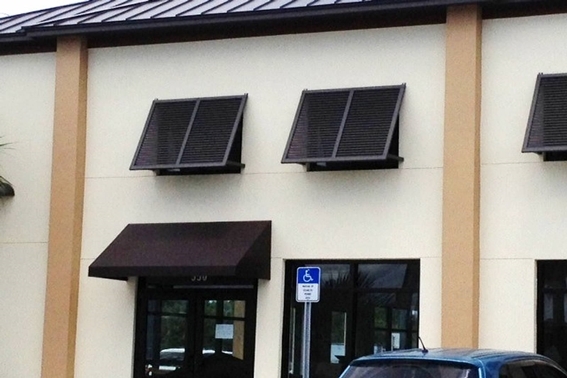 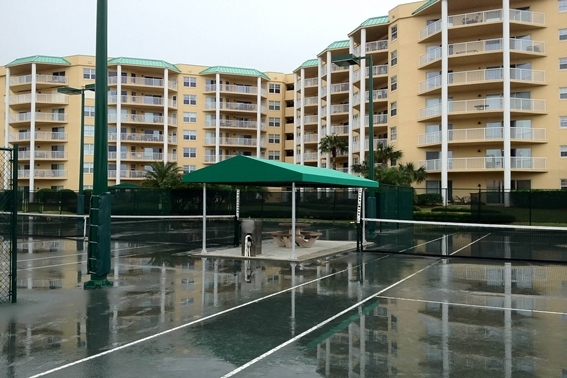 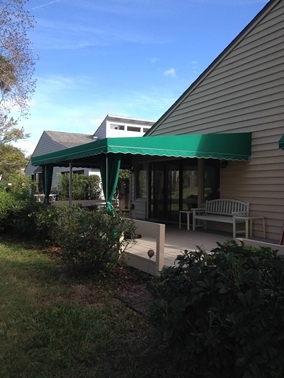 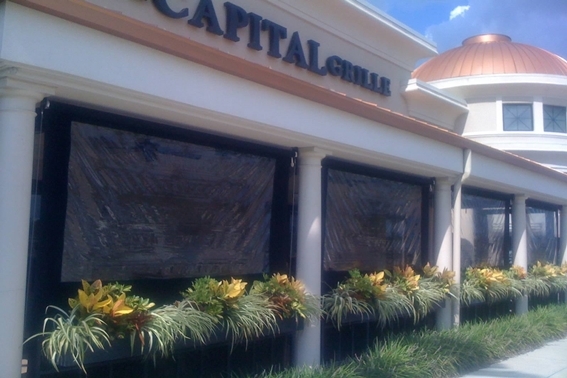 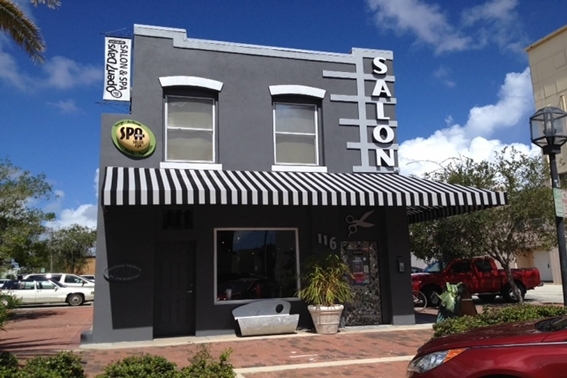 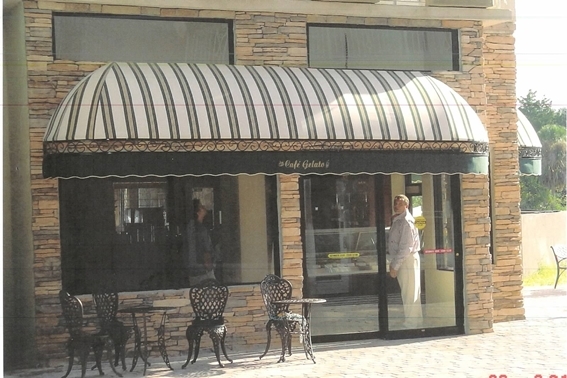 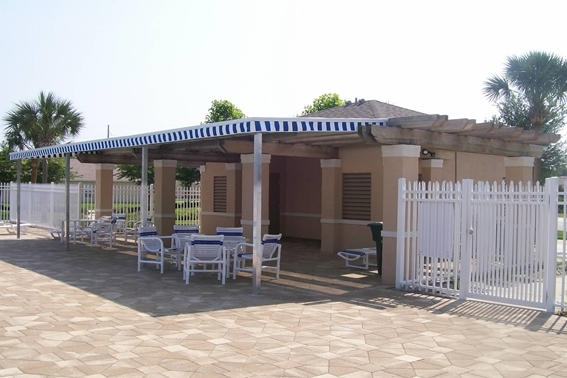 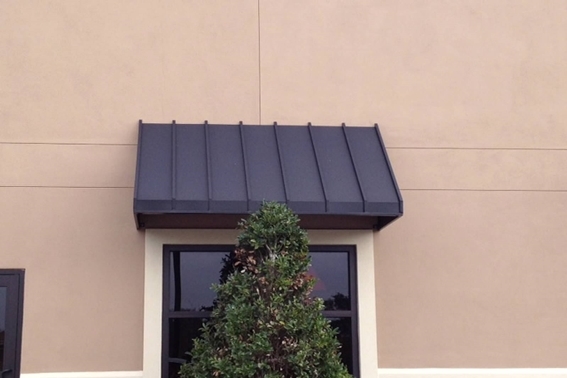 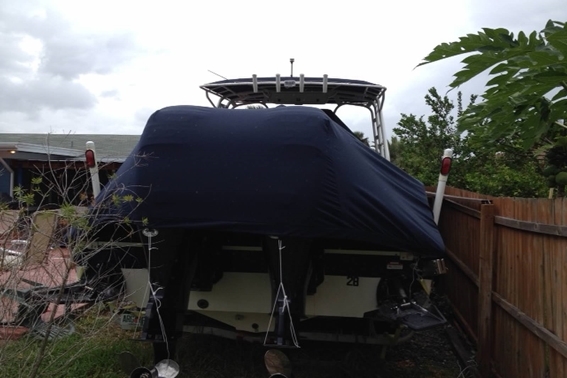 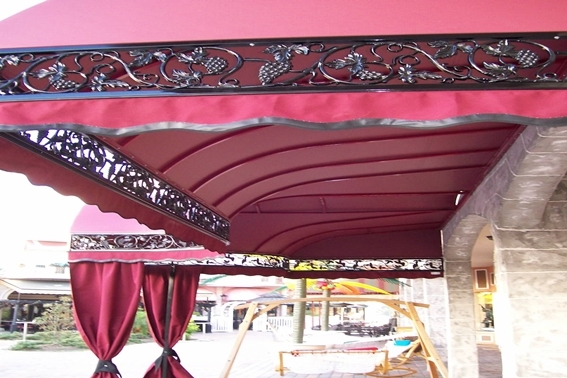 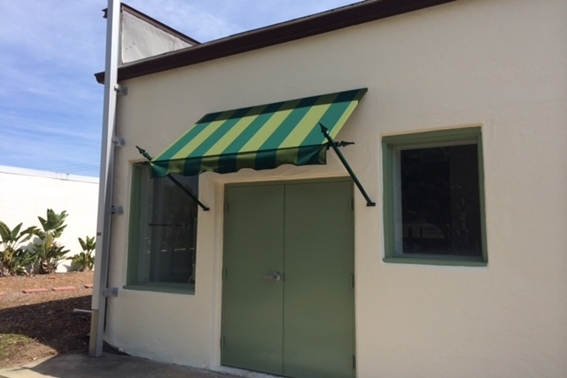 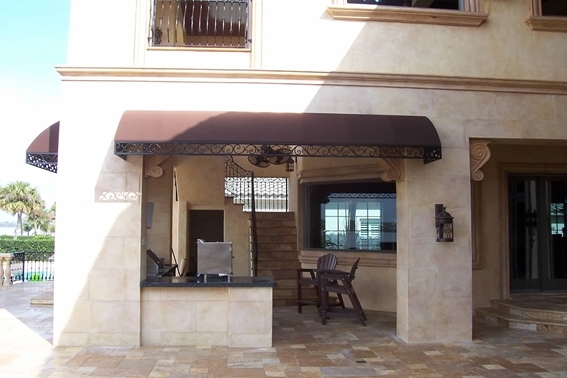 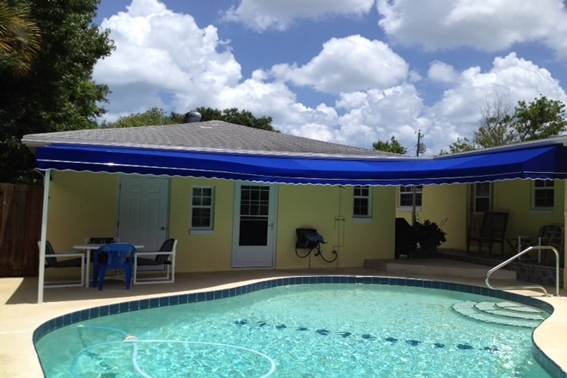 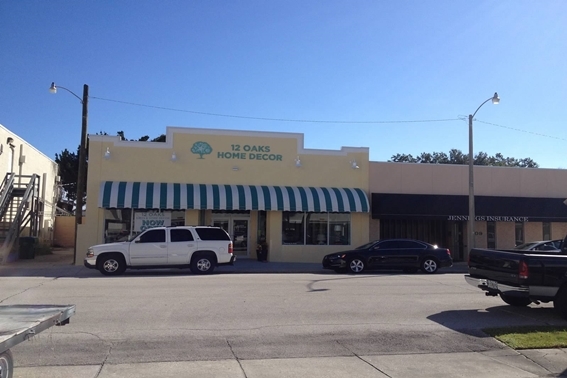 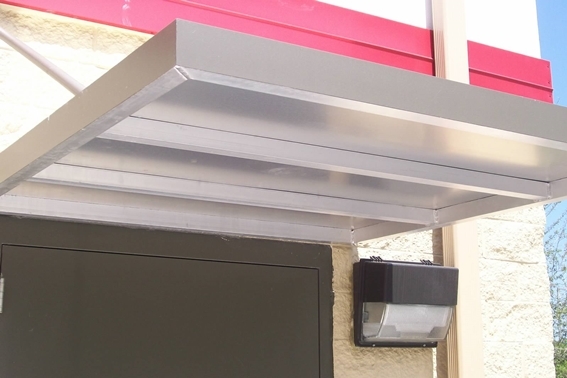 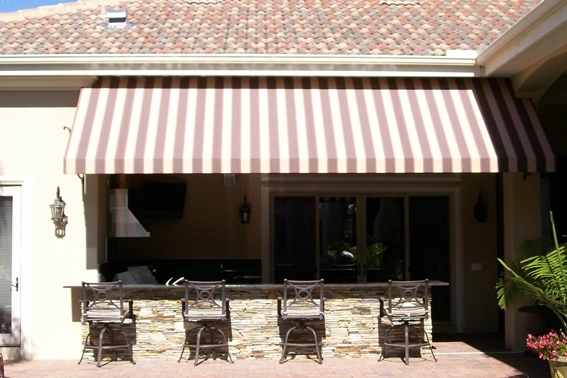 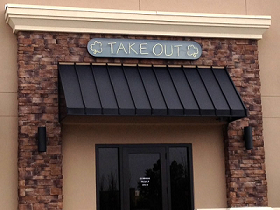 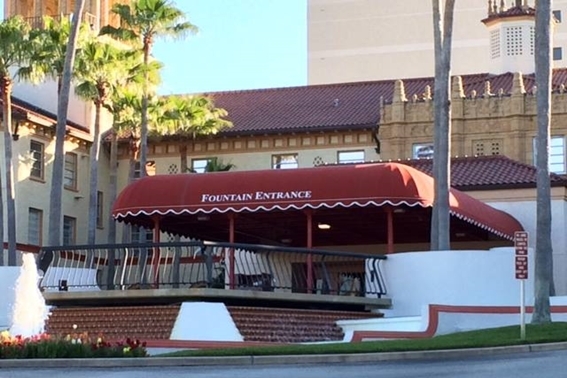 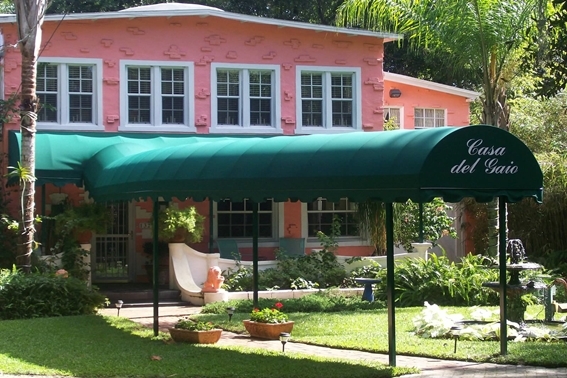 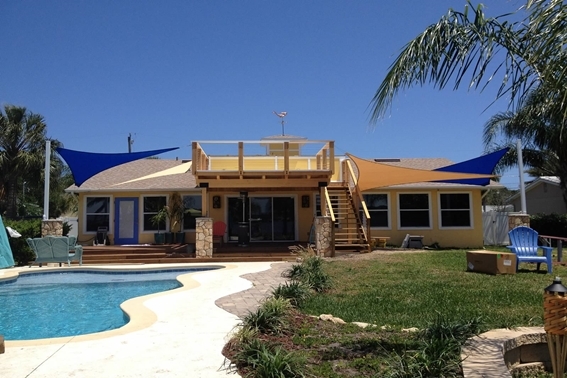 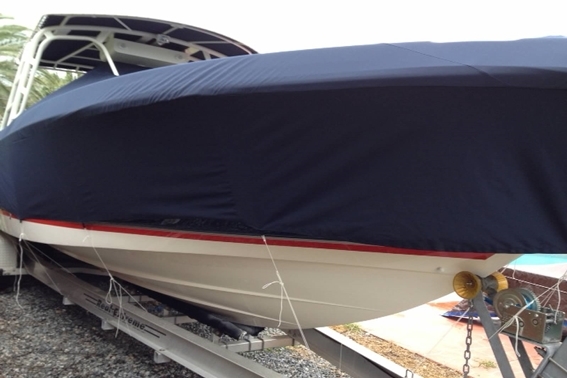 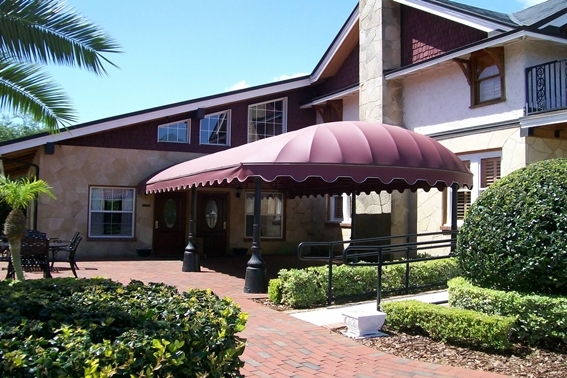 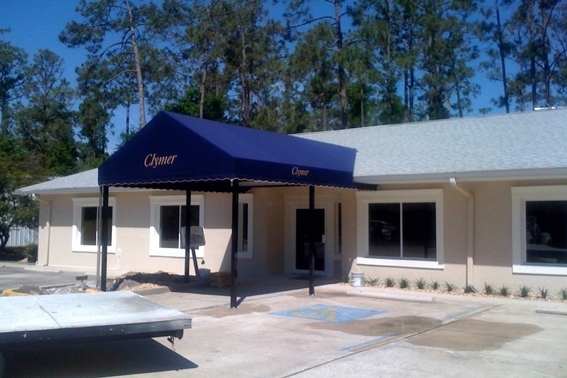 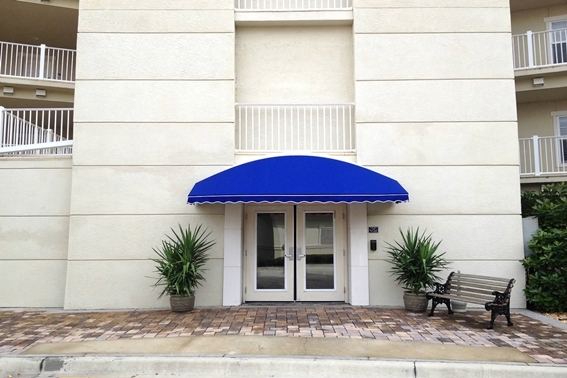 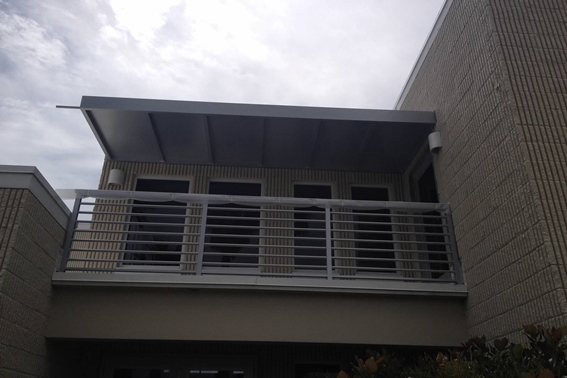 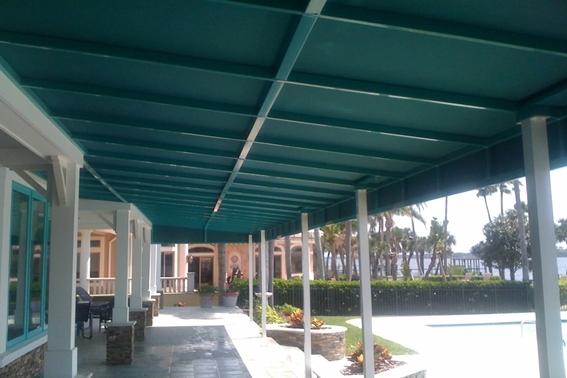 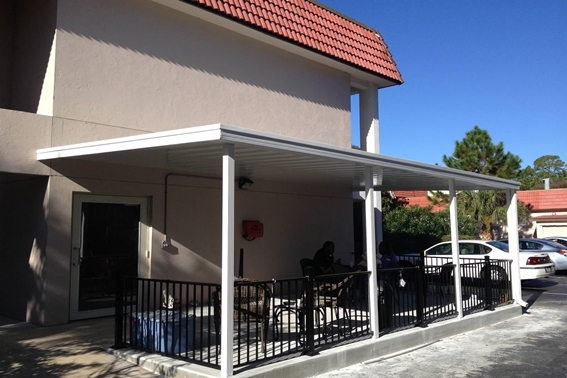 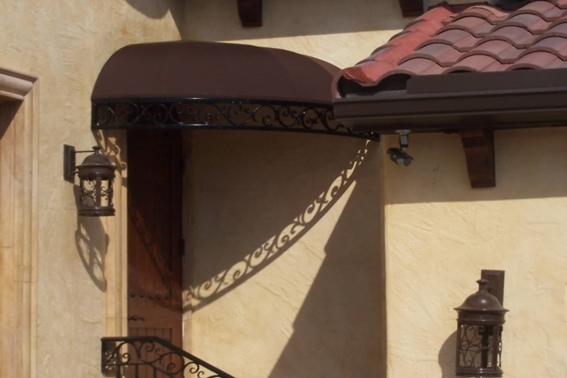 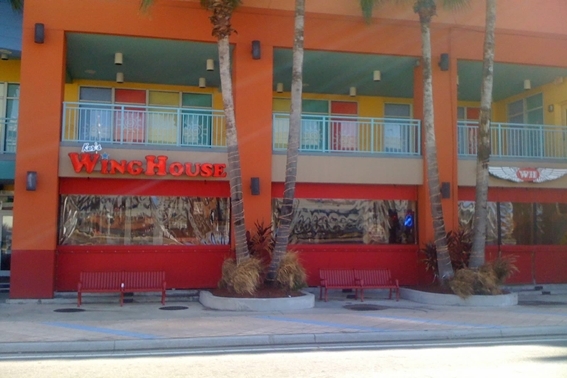 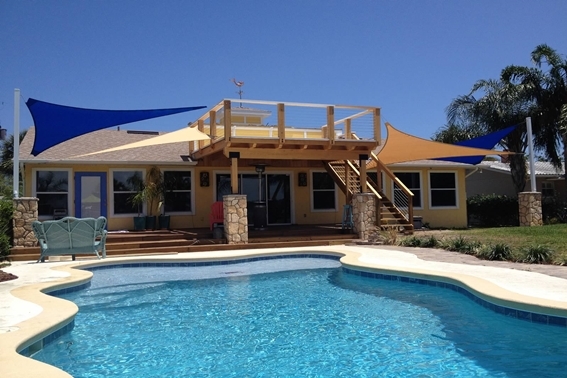 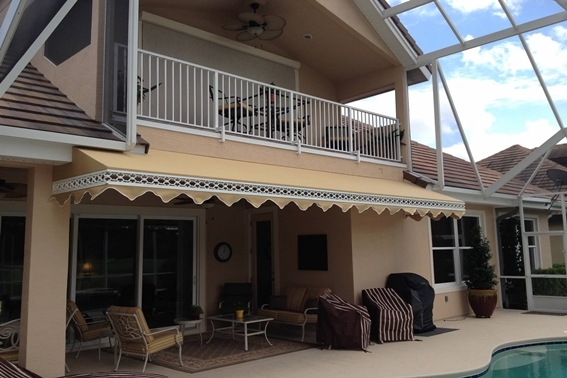 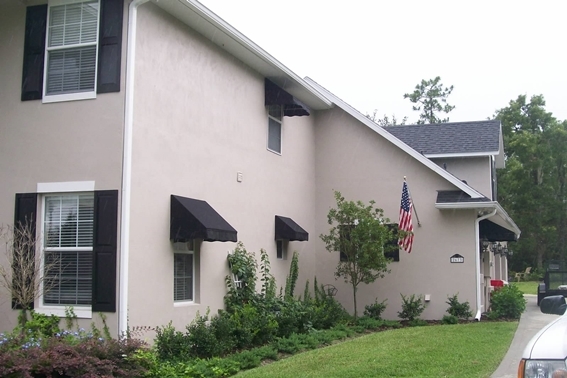 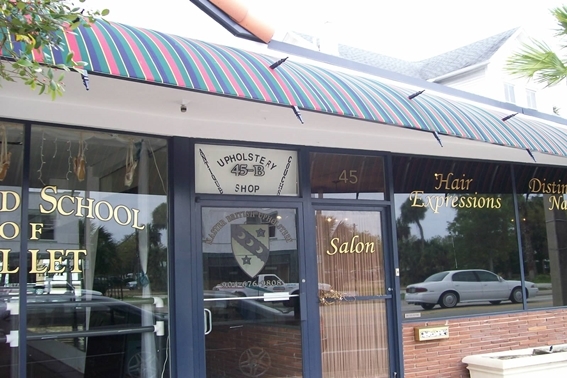 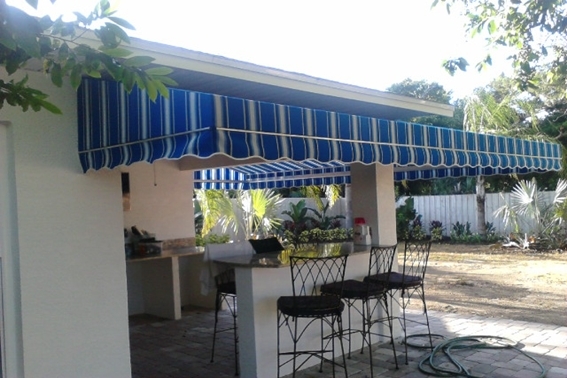 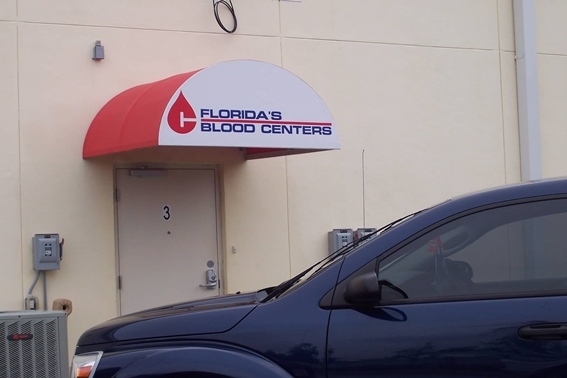 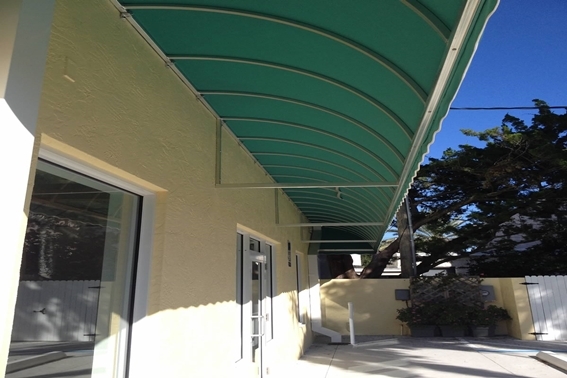 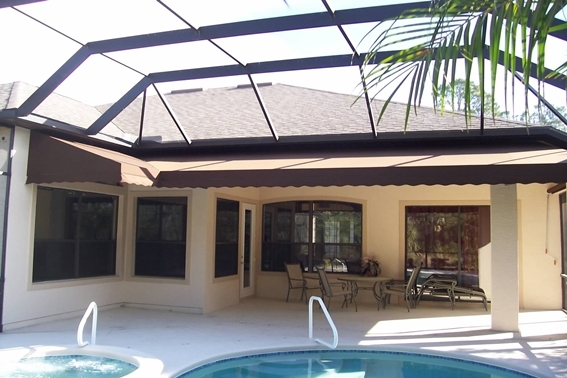 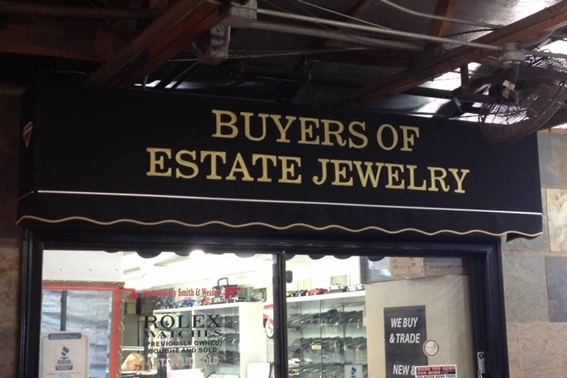 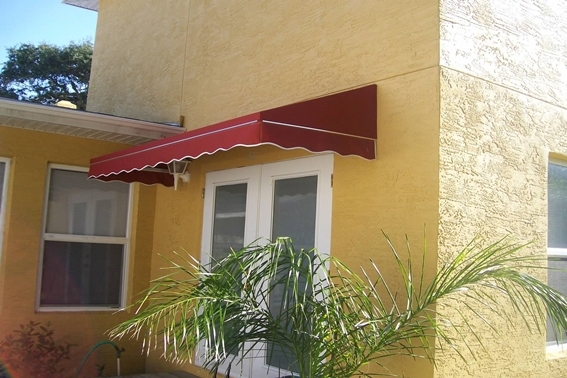 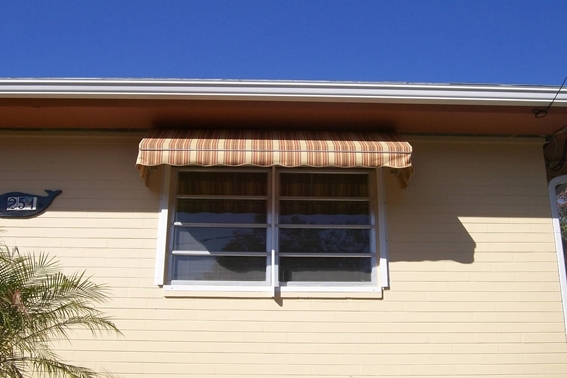 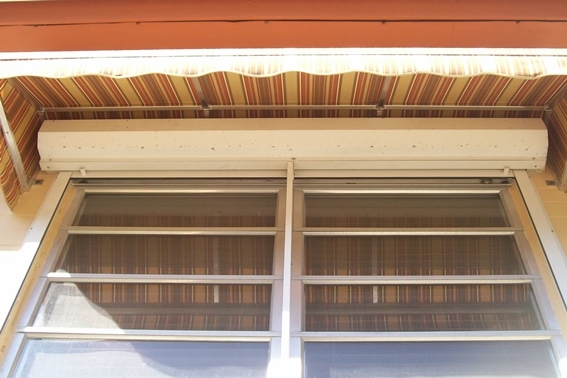 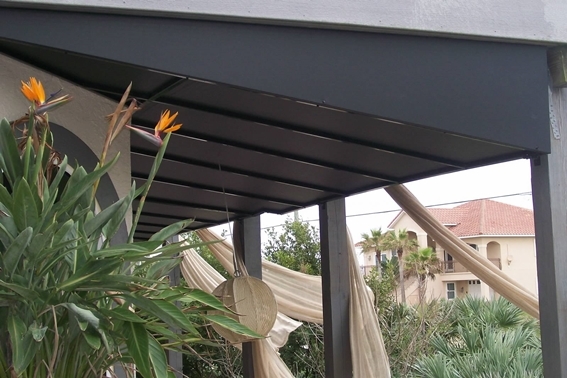 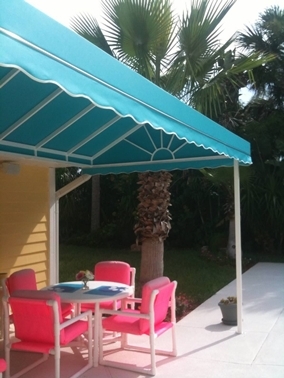 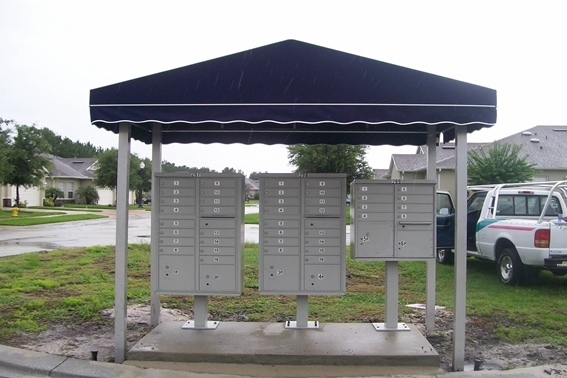 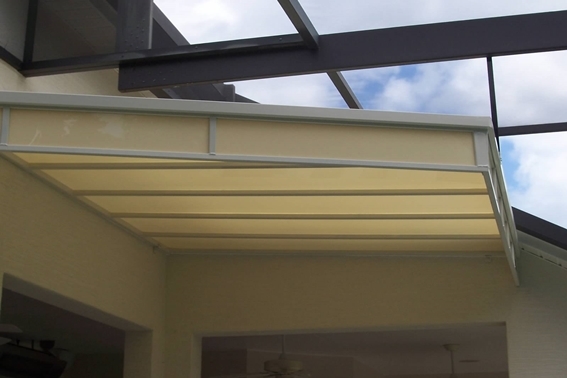 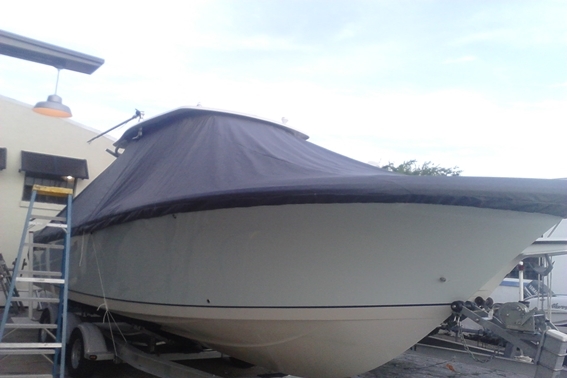 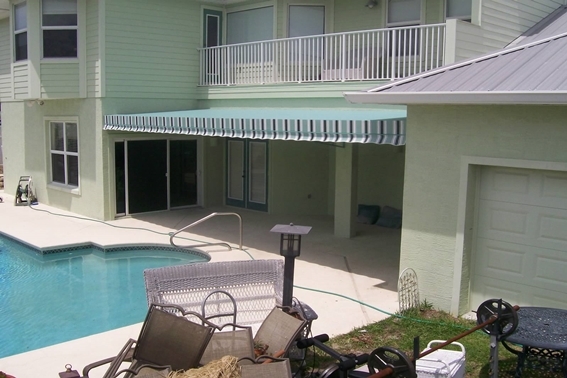 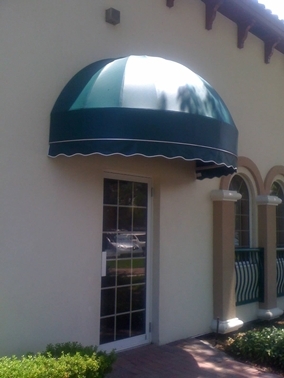 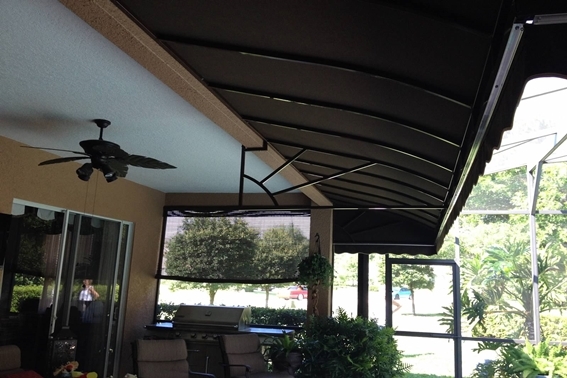 All of our aluminum frame components, and all our installed awnings, are backed by the Awnings & Tops by Tony Guarantee. 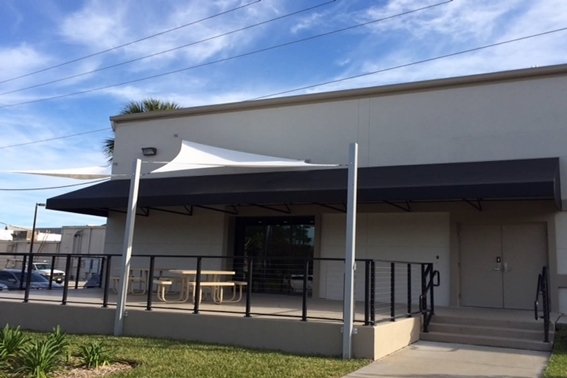 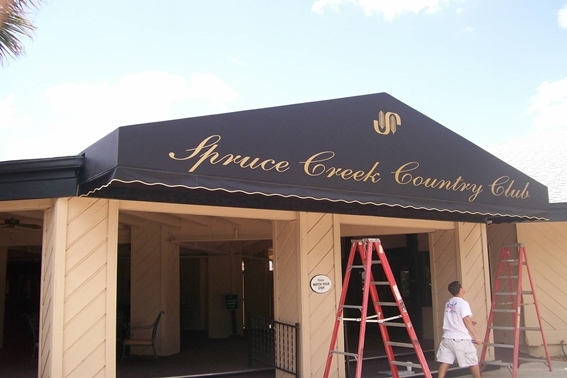 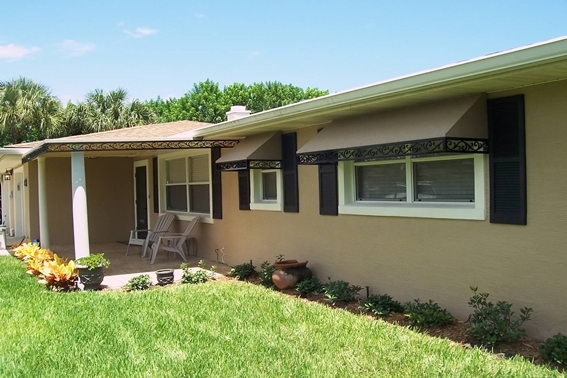 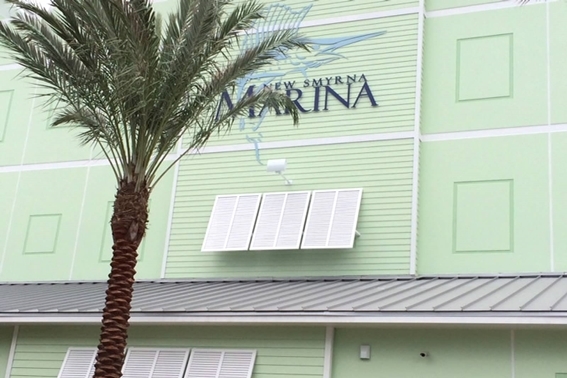 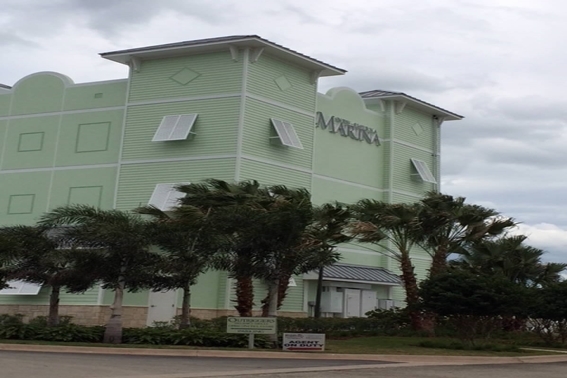 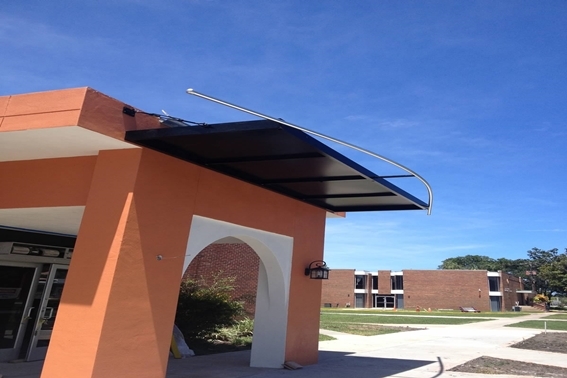 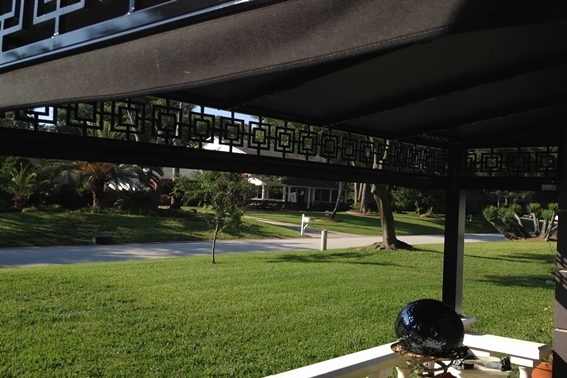 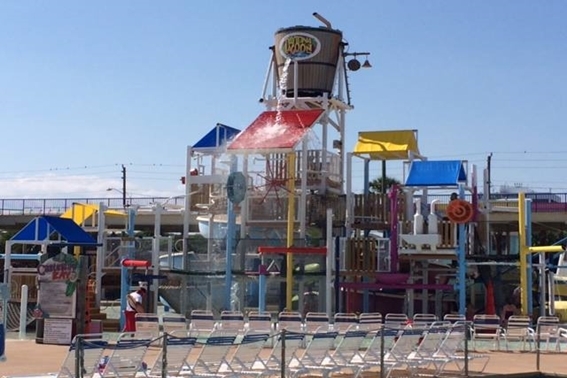 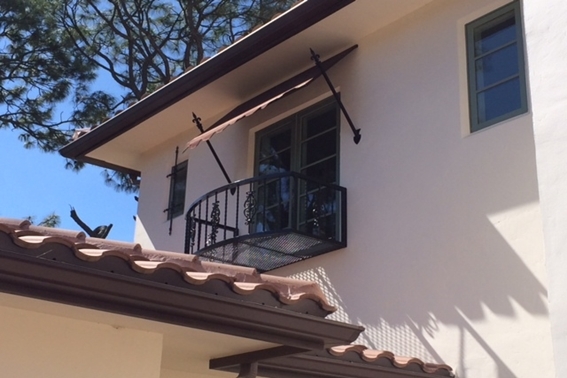 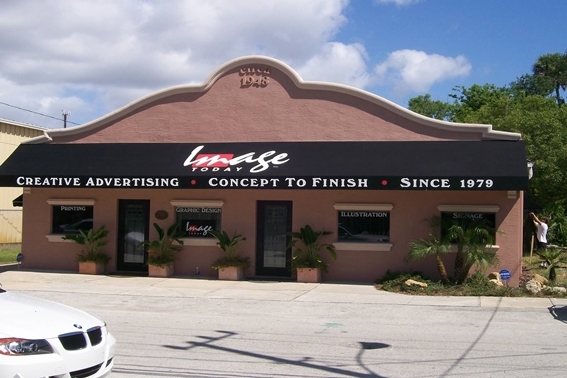 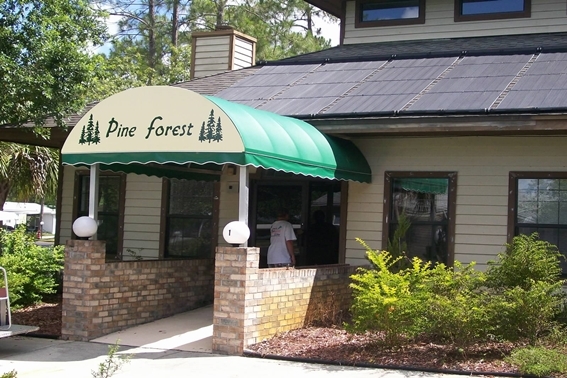 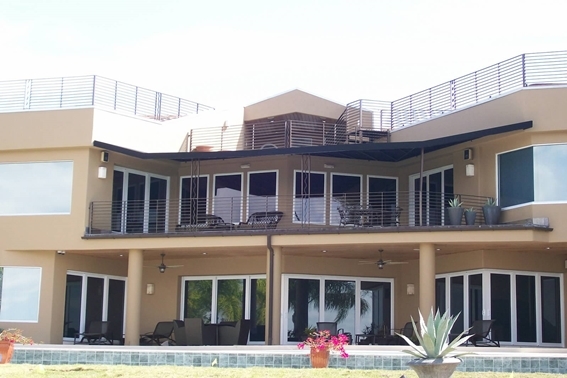 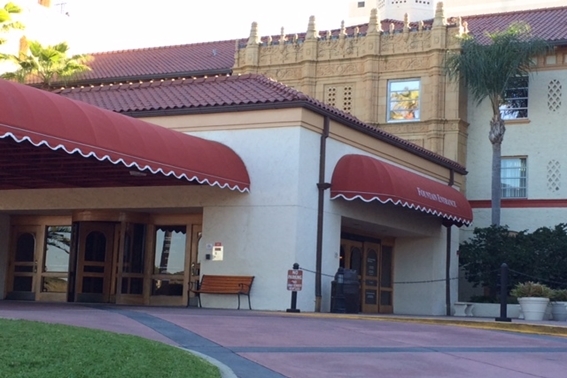 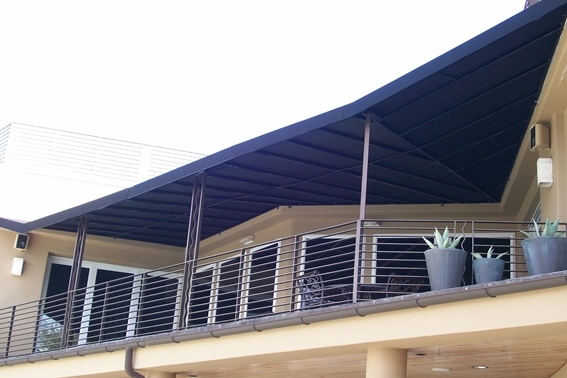 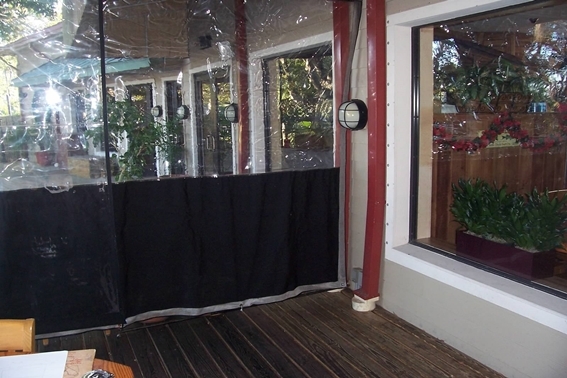 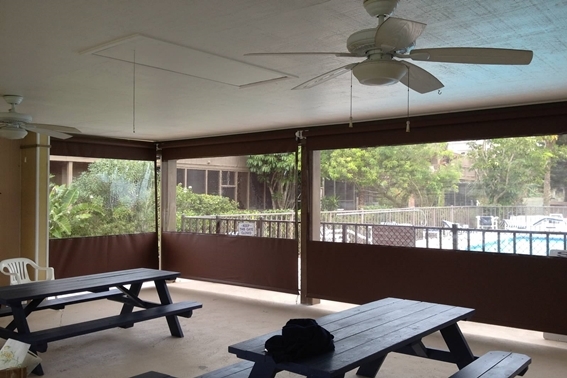 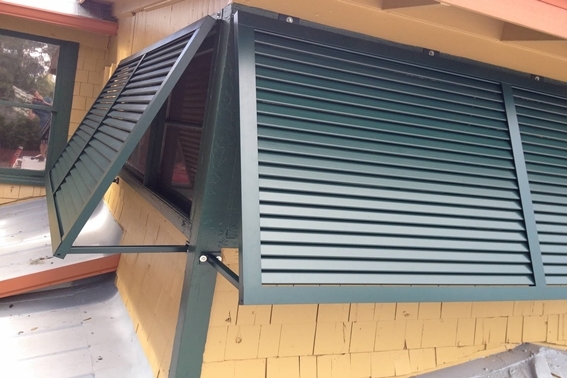 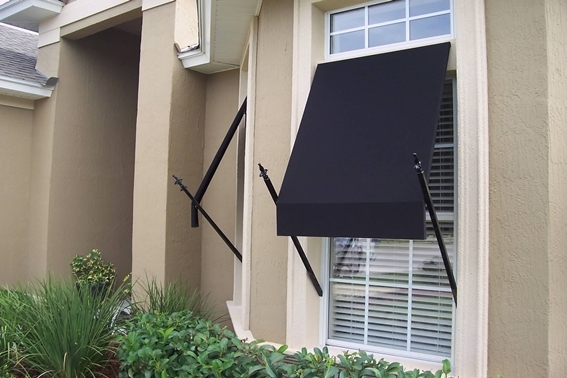 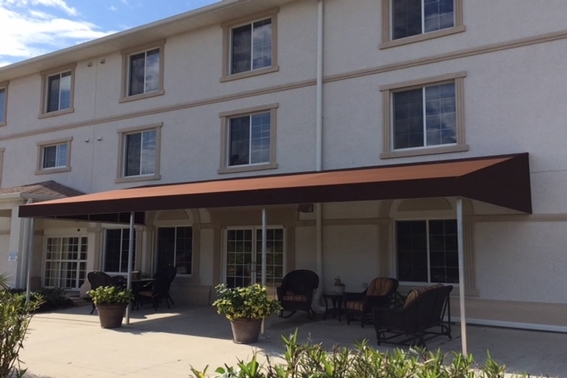 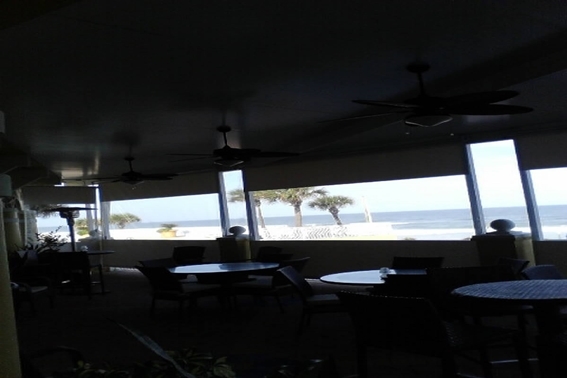 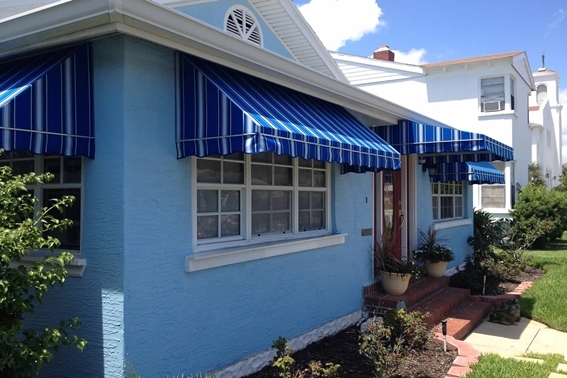 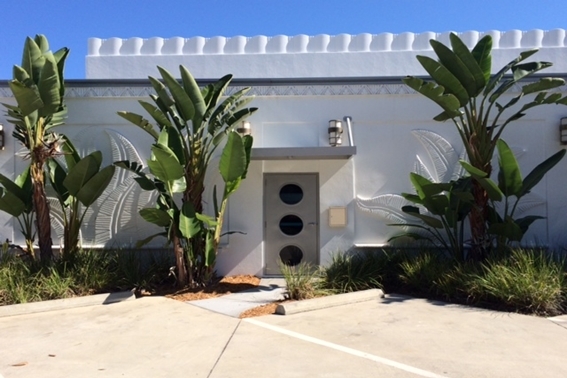 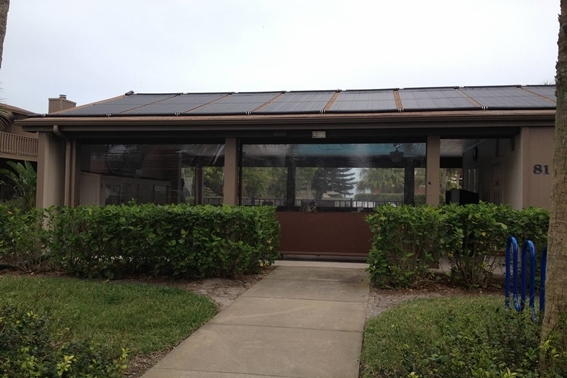 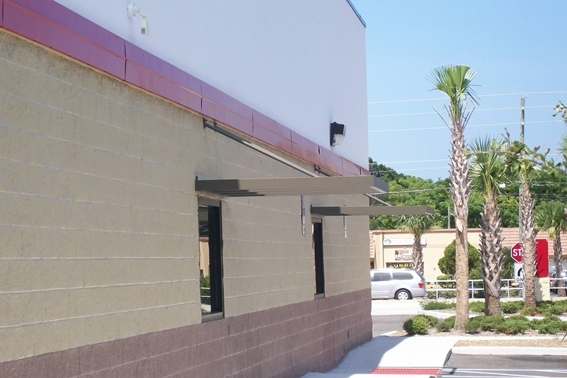 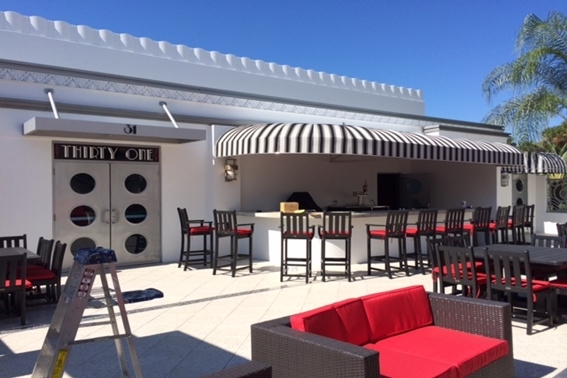 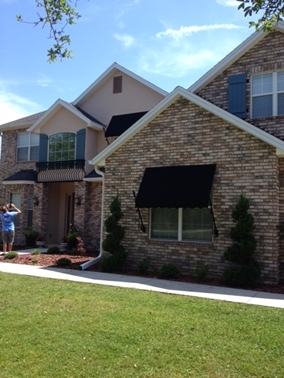 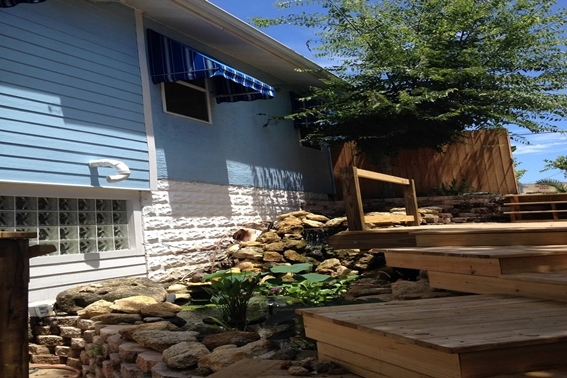 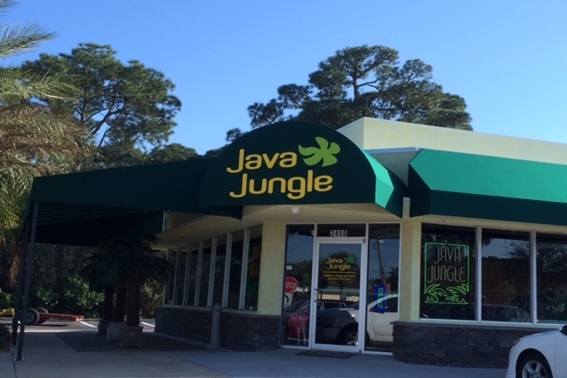 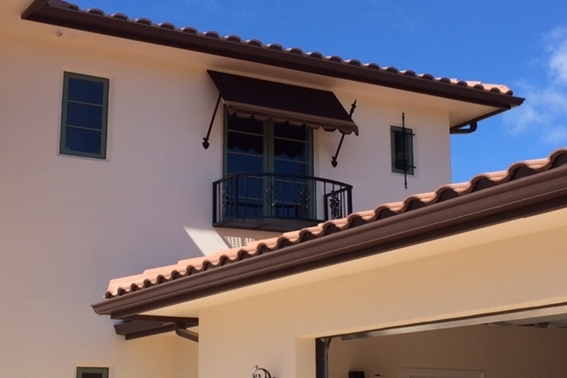 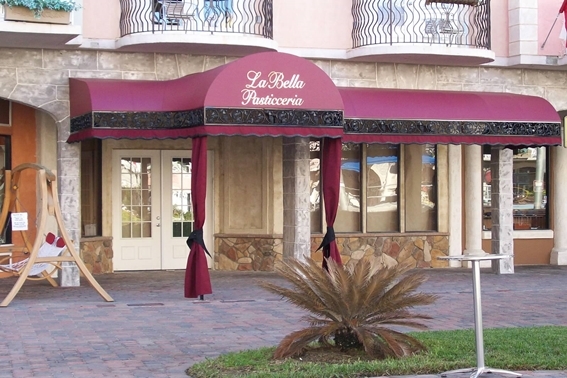 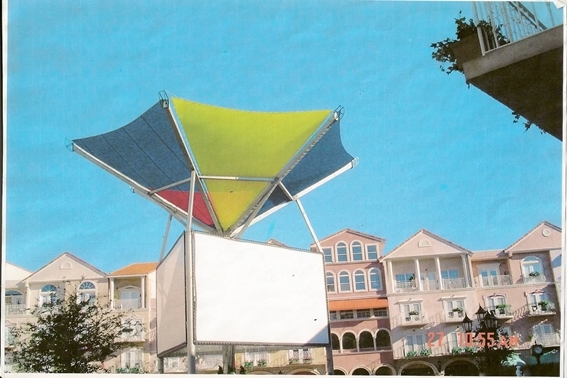 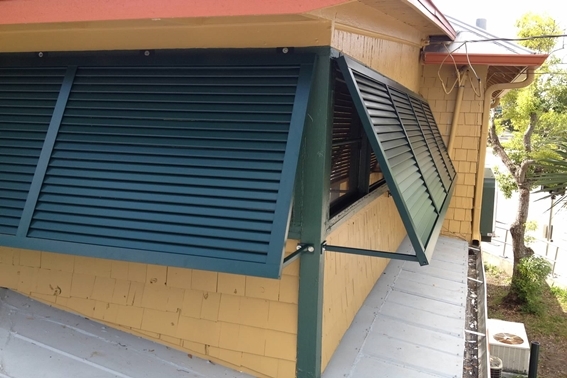 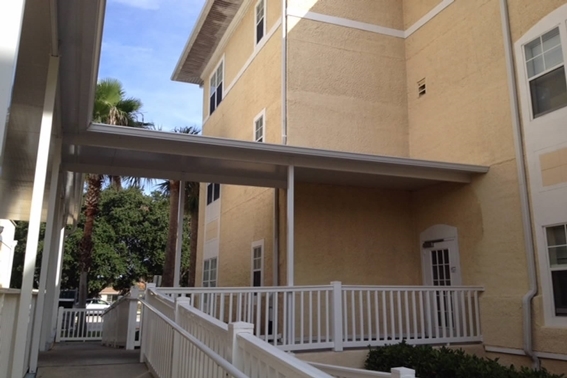 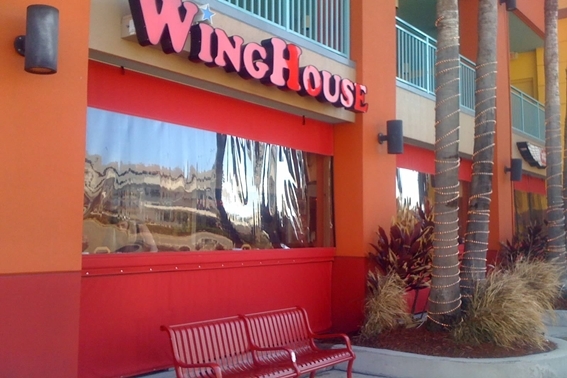 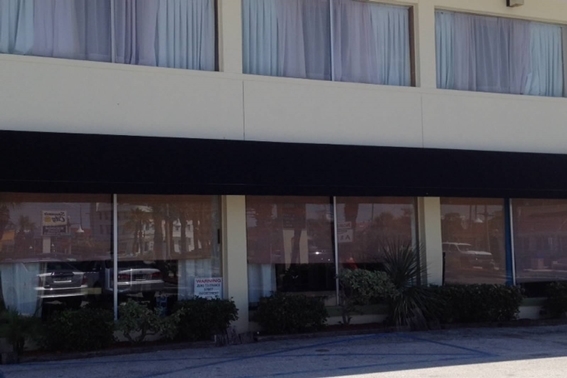 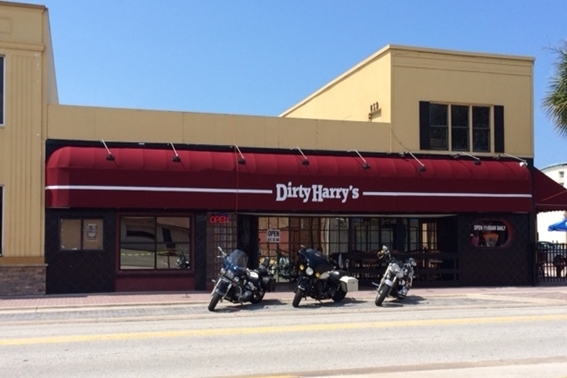 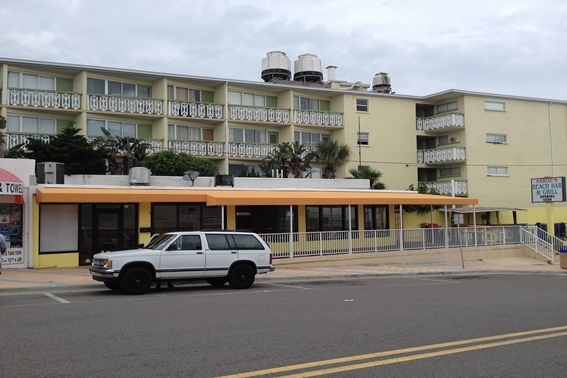 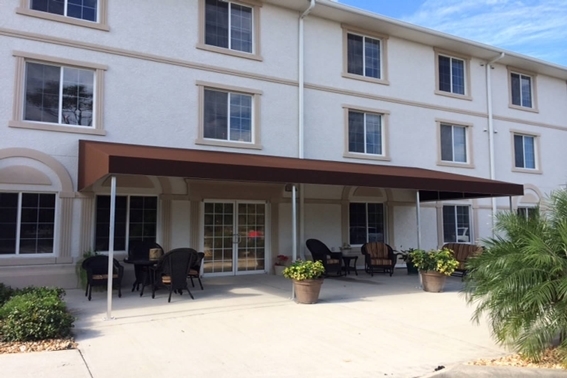 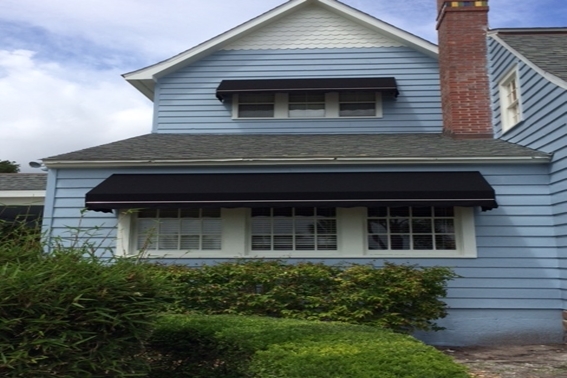 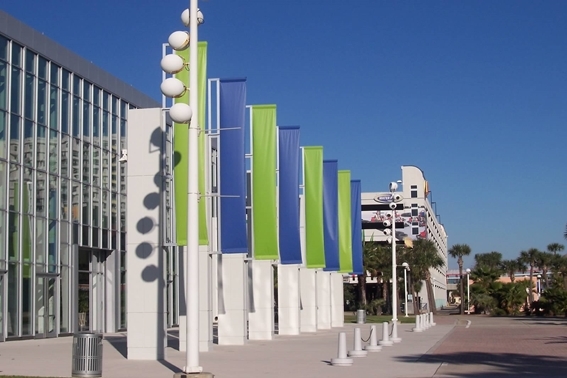 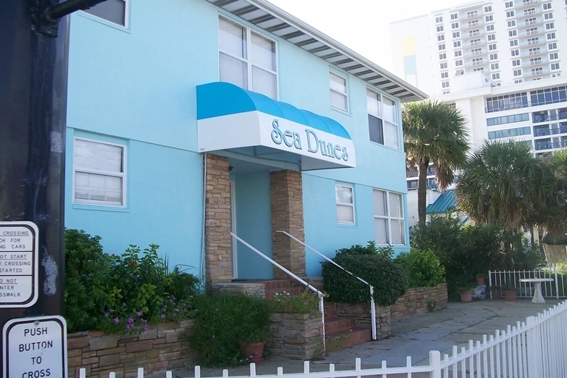 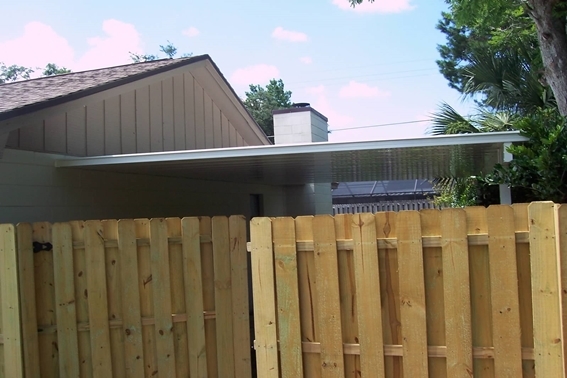 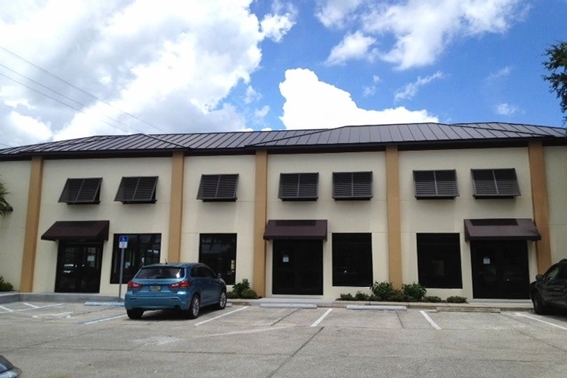 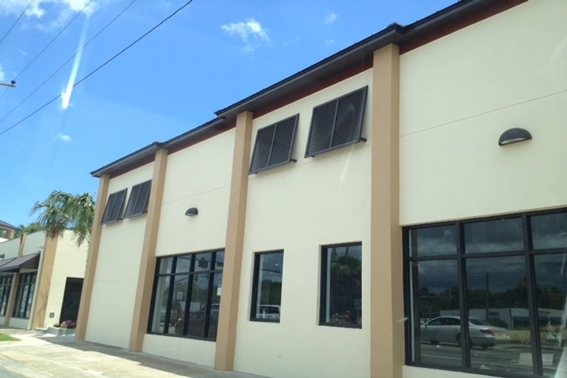 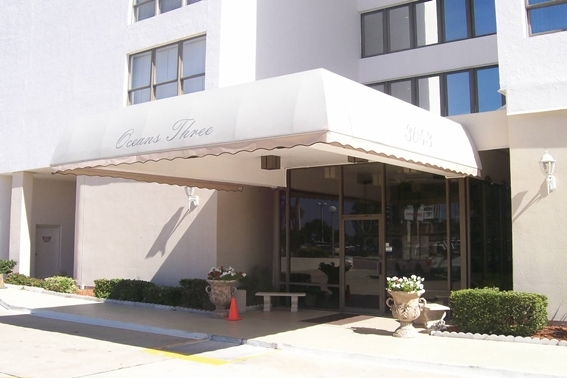 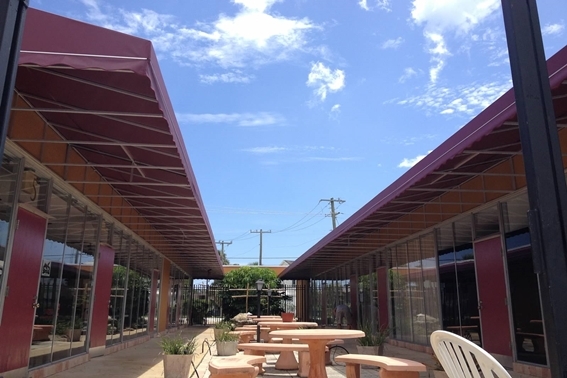 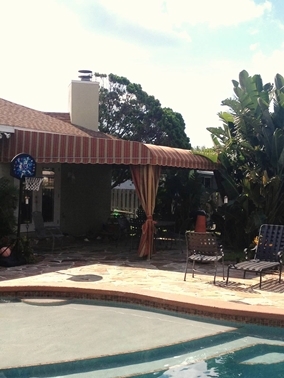 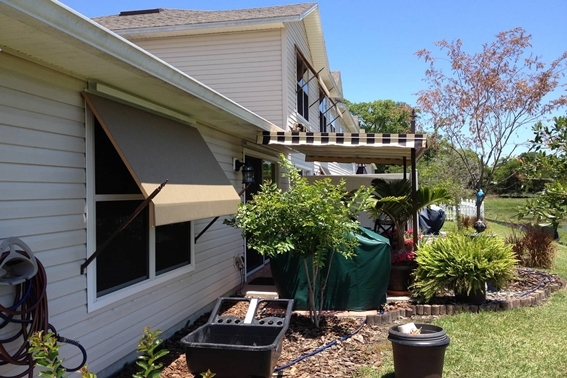 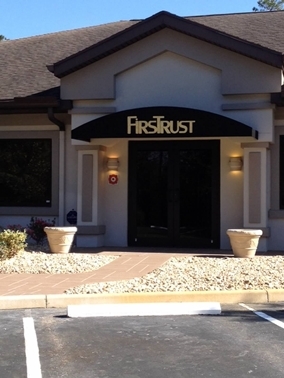 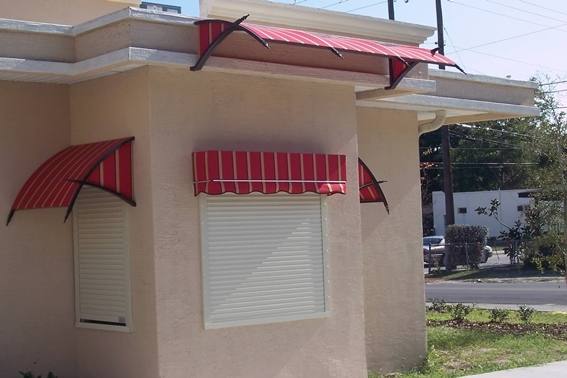 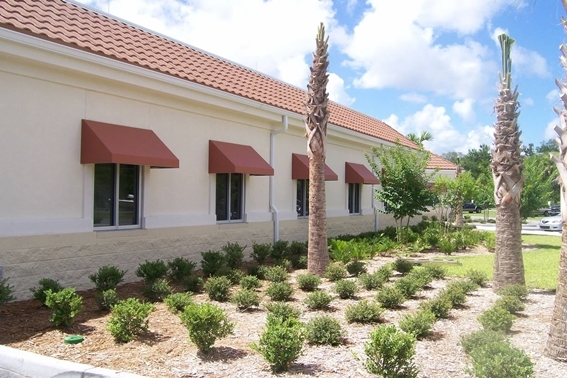 The cost advantage our products provide is underlined in the fact that utility companies from all over the country recommend awnings and screens for lowering cooling costs effectively and economically. 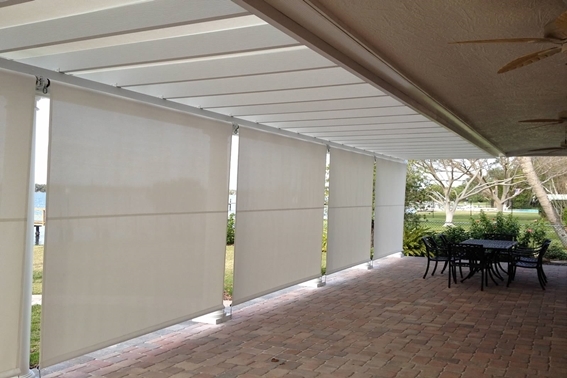 Just as important, the cost-effectiveness of our products is enhanced by their extended lifespan. 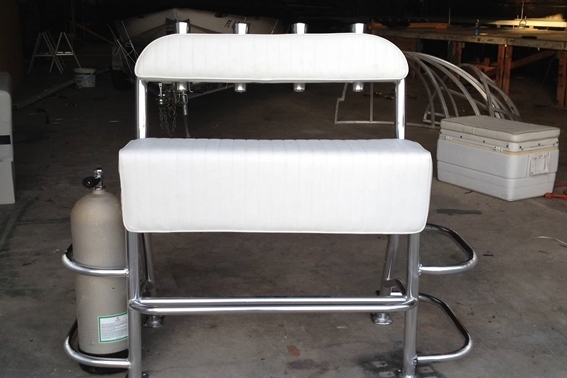 All frames are aluminum and are tig welded with a 5 year warranty. 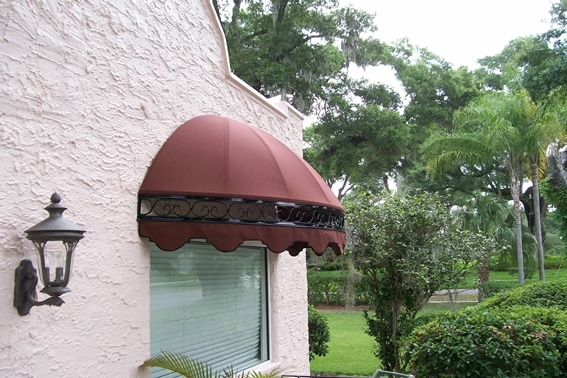 We only use high quality poly thread with a double stitch on all seams. 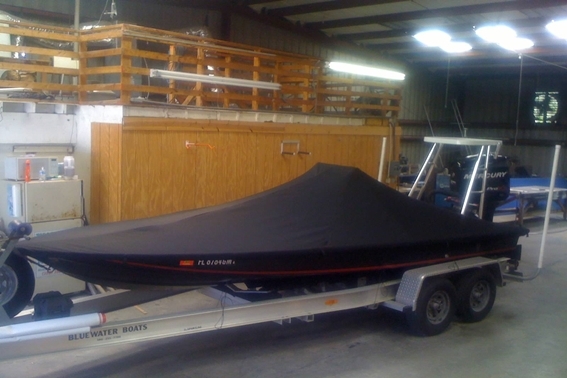 Bindings are acrylic and not cotton. 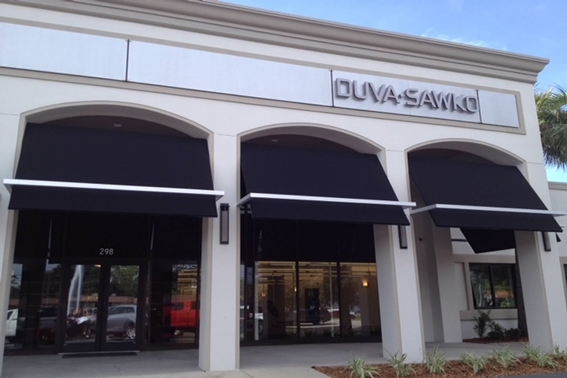 Sewing has a two year warranty. 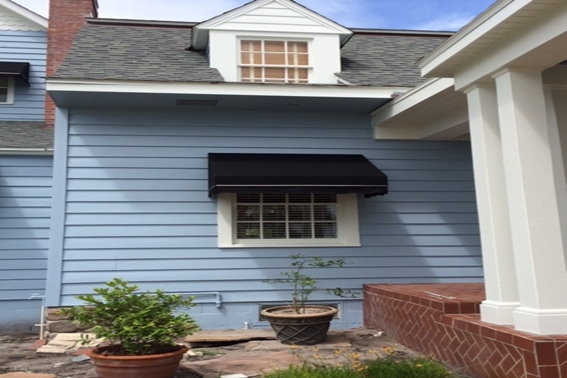 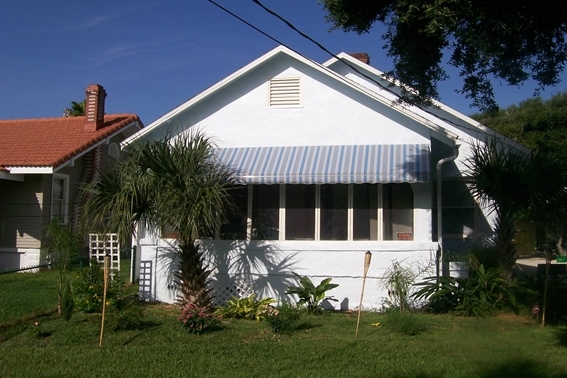 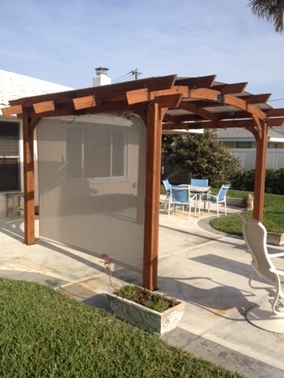 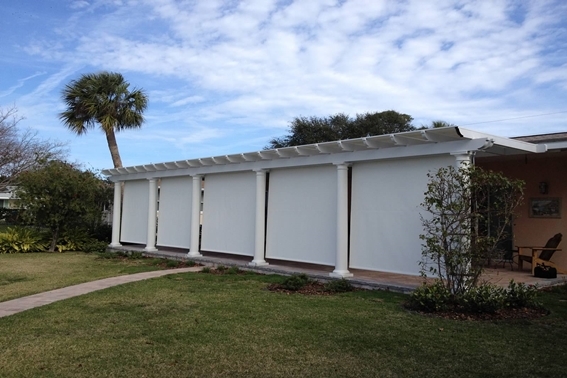 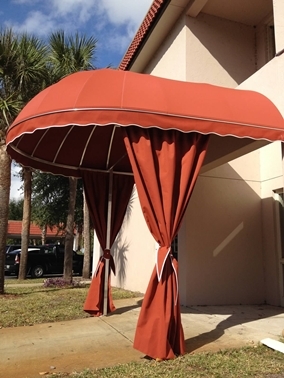 Sunbrella Canvas has a 10 year manufacturer warranty. 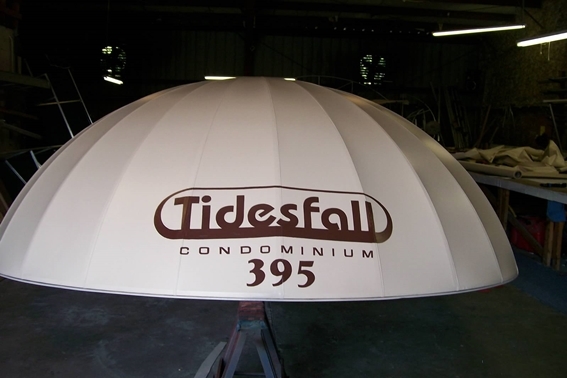 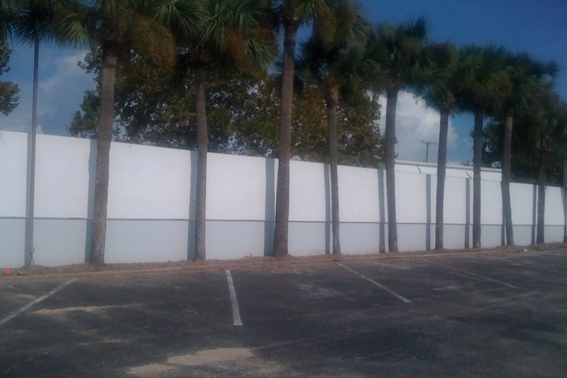 Vinyl material has a 5 to 8 year manufacturer warranty.